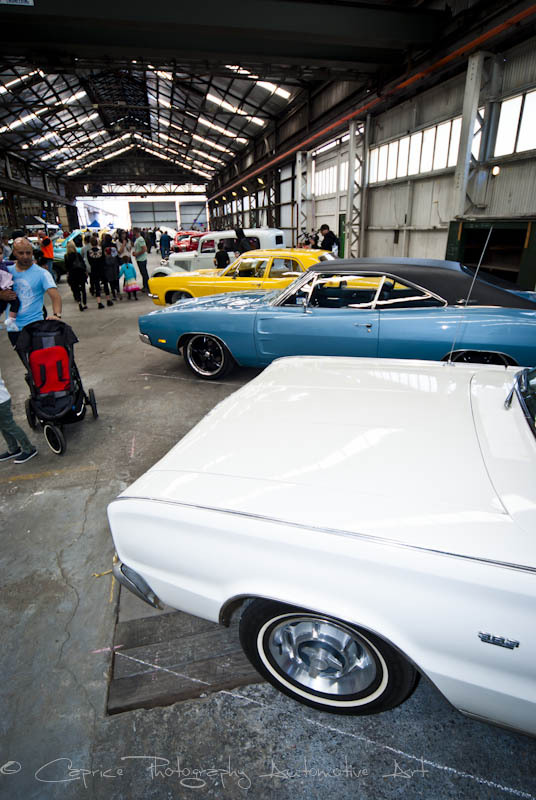 For a first time show, this auto spectacular had the makings of a long established event with a life of its own. 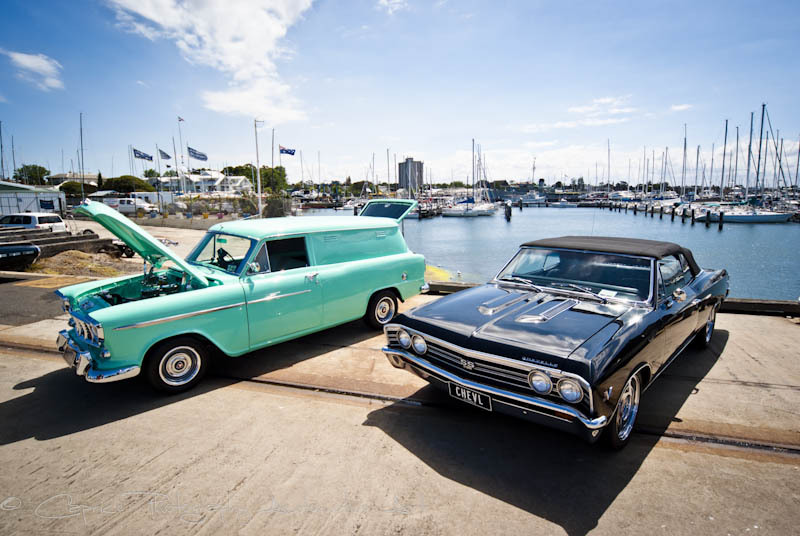 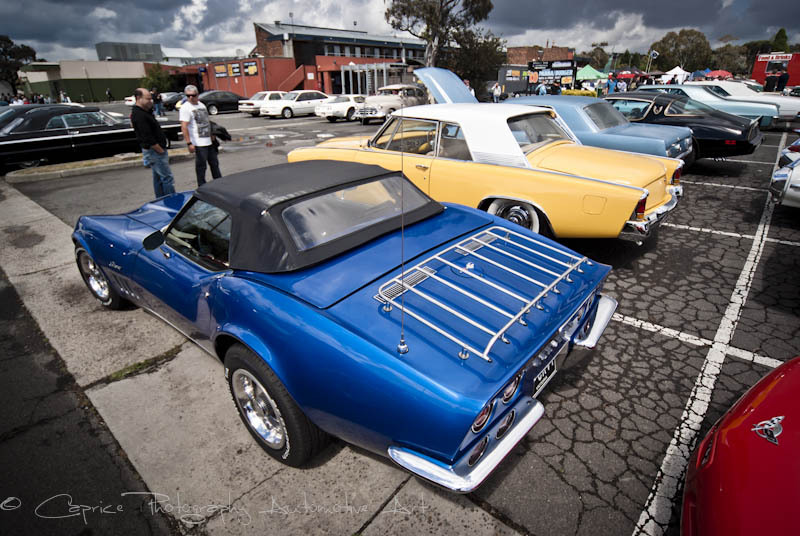 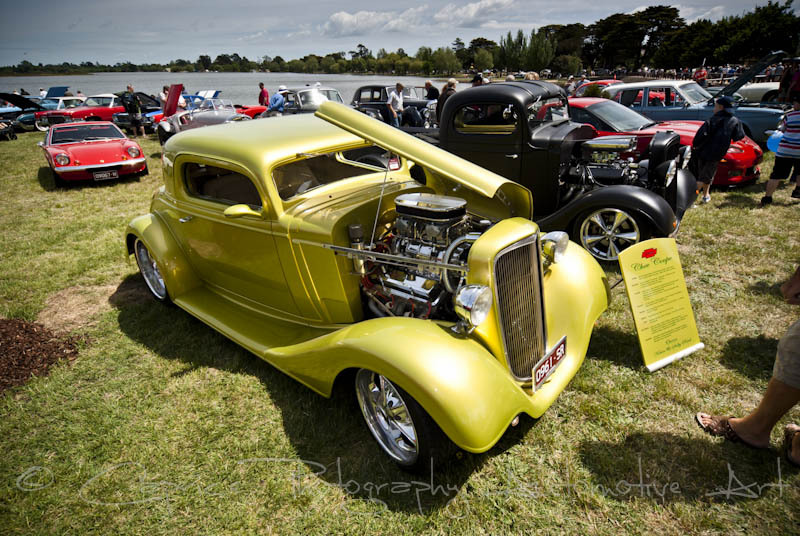 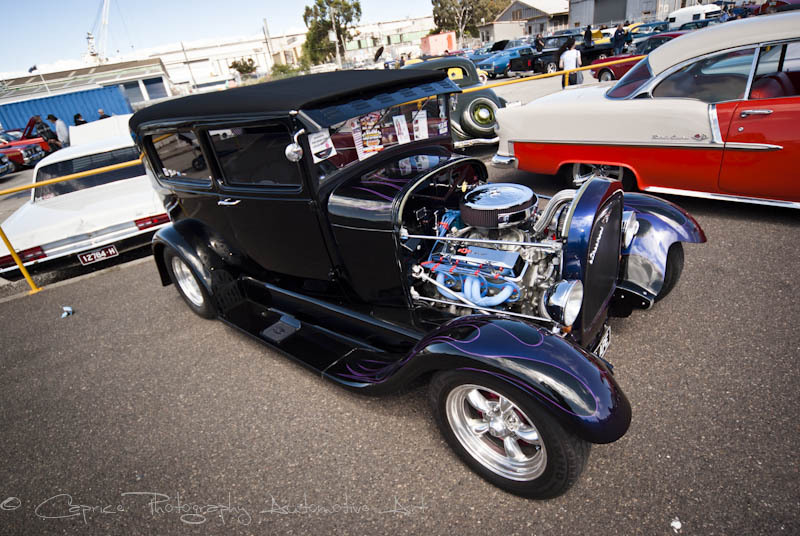 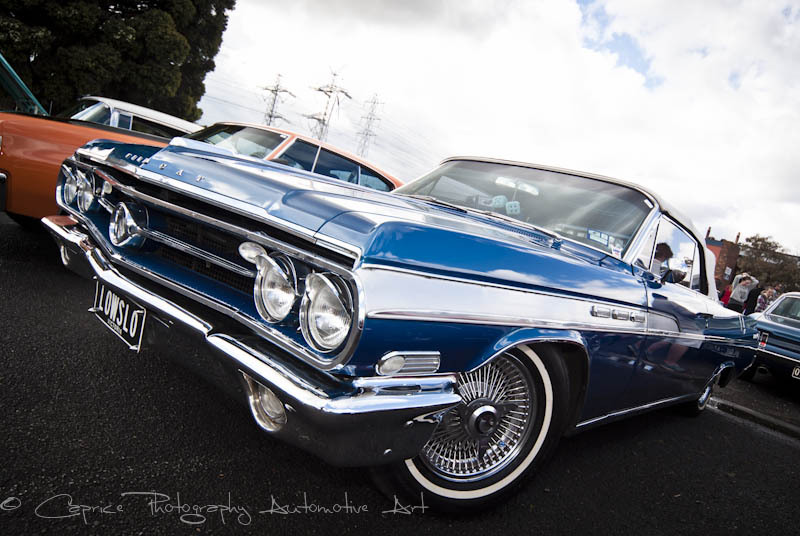 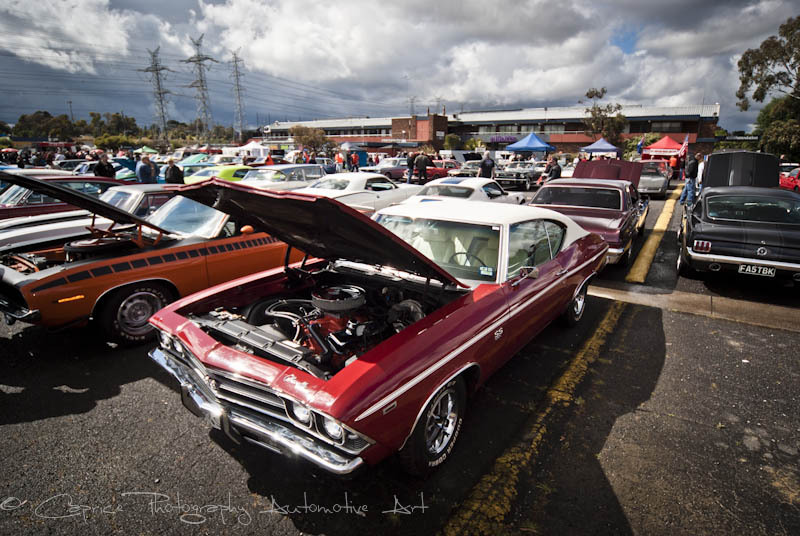 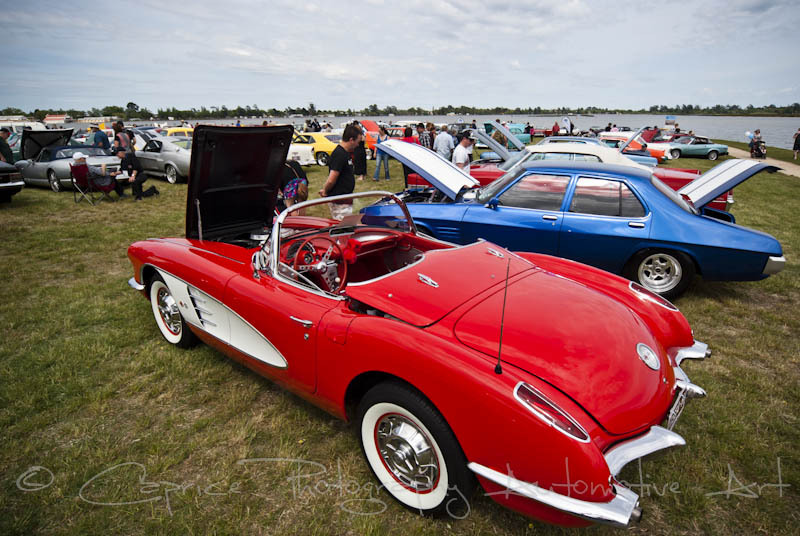 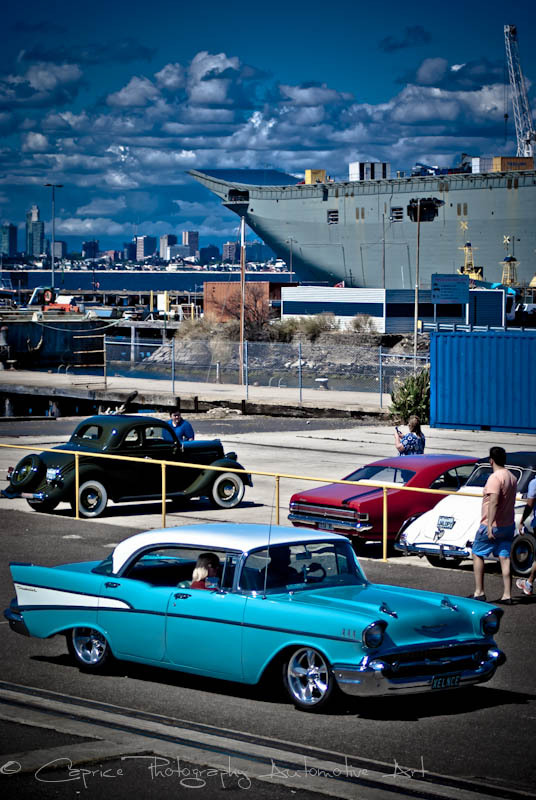 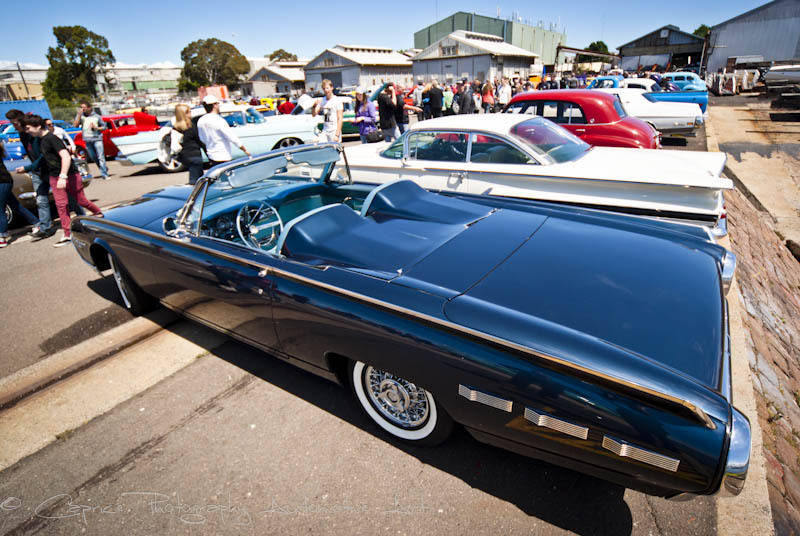 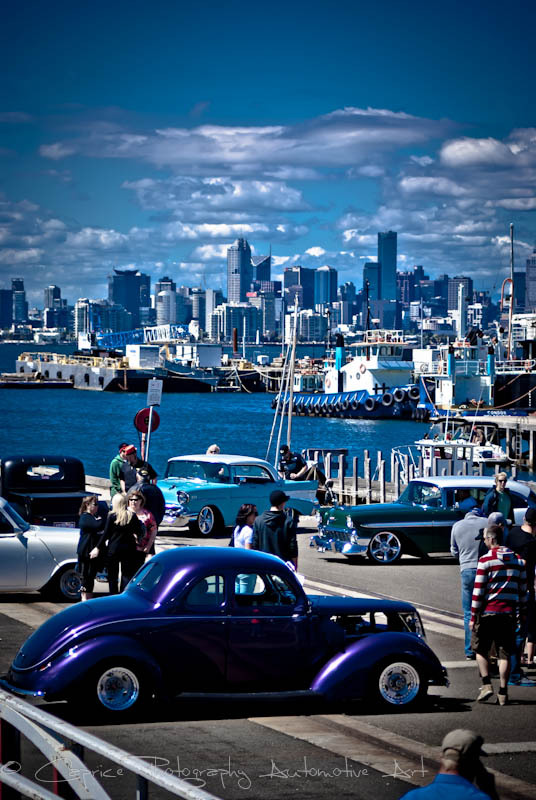 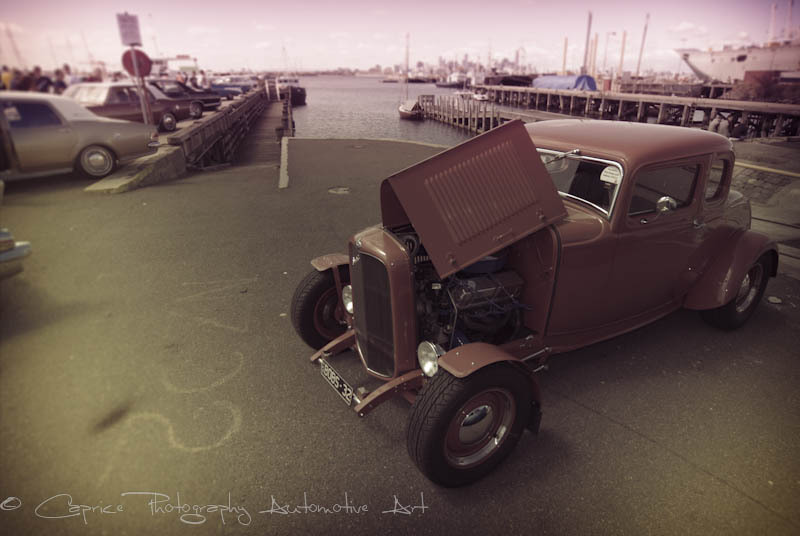 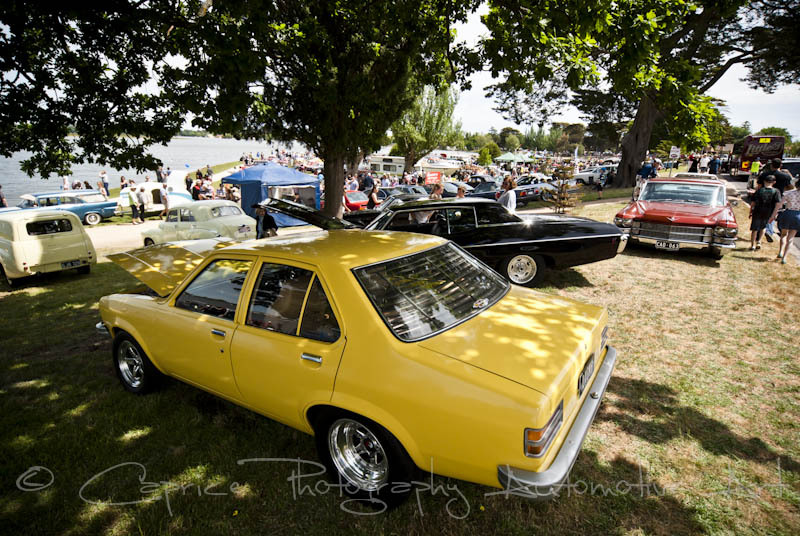 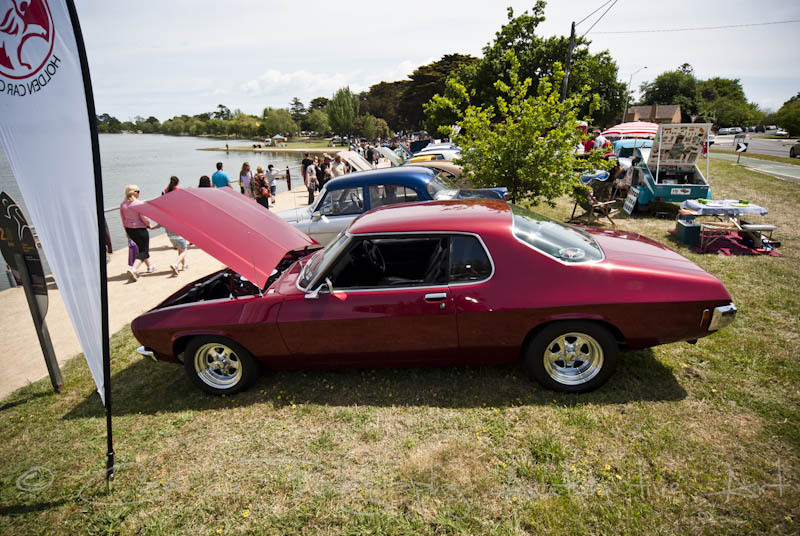 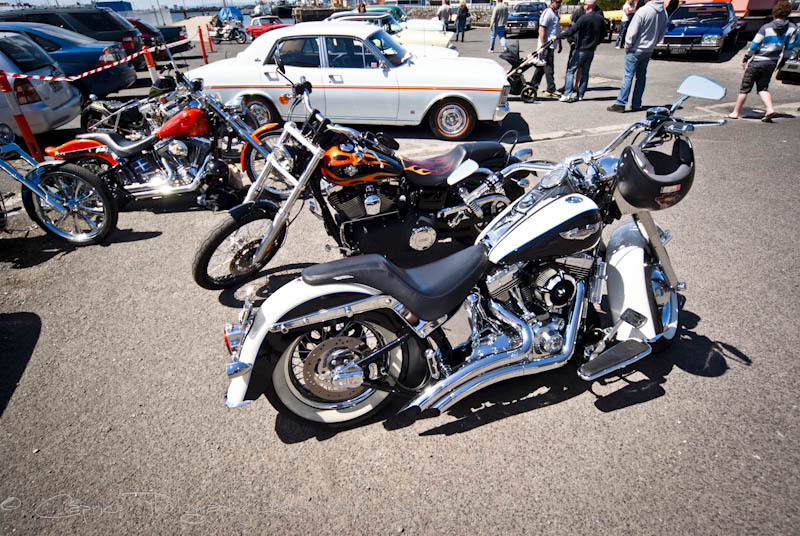 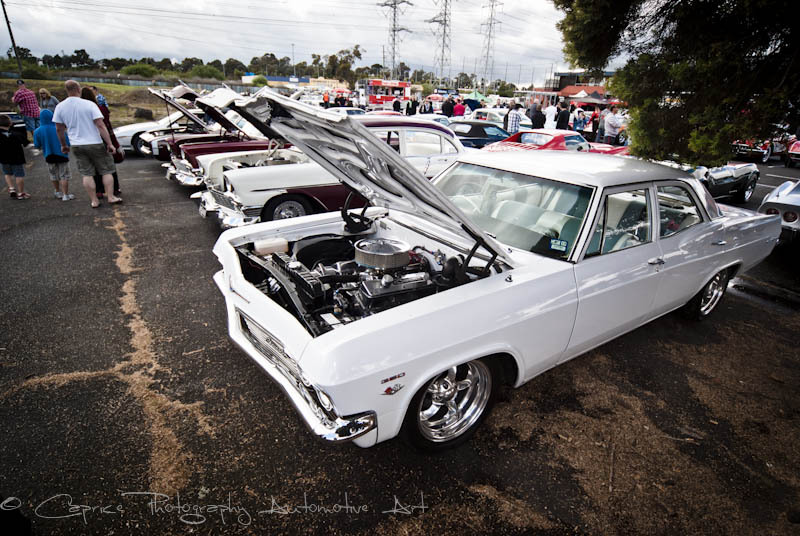 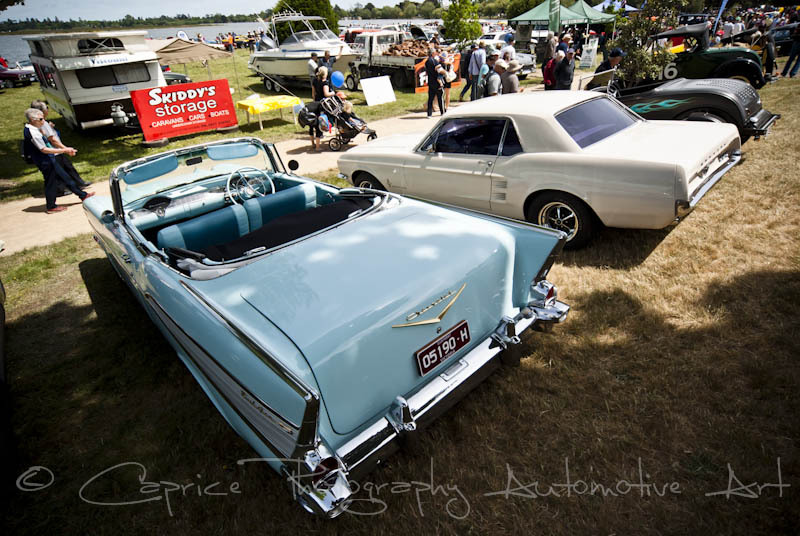 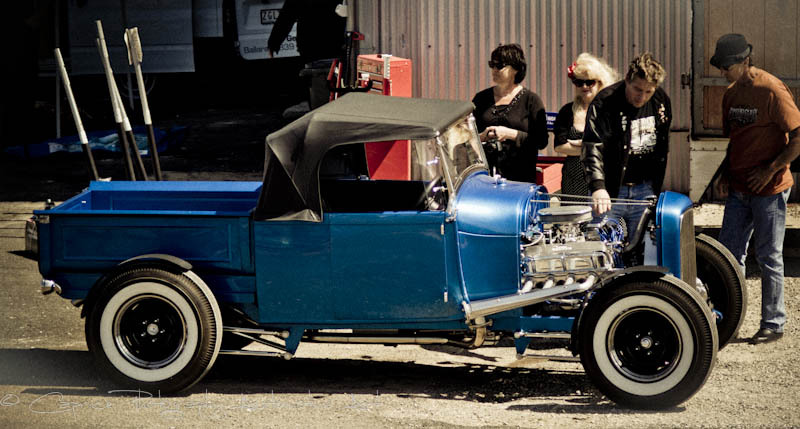 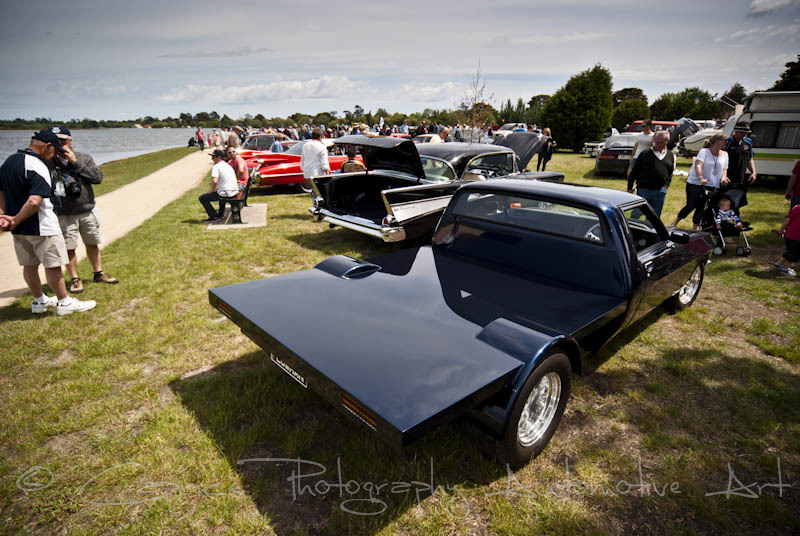 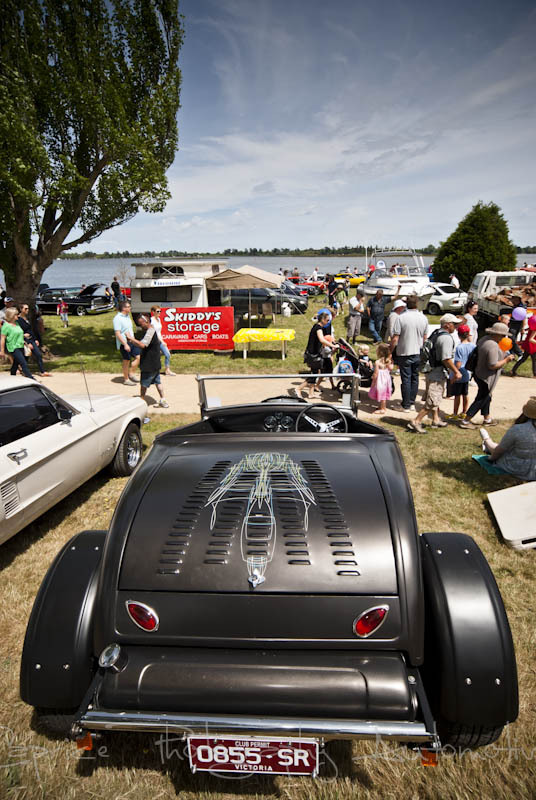 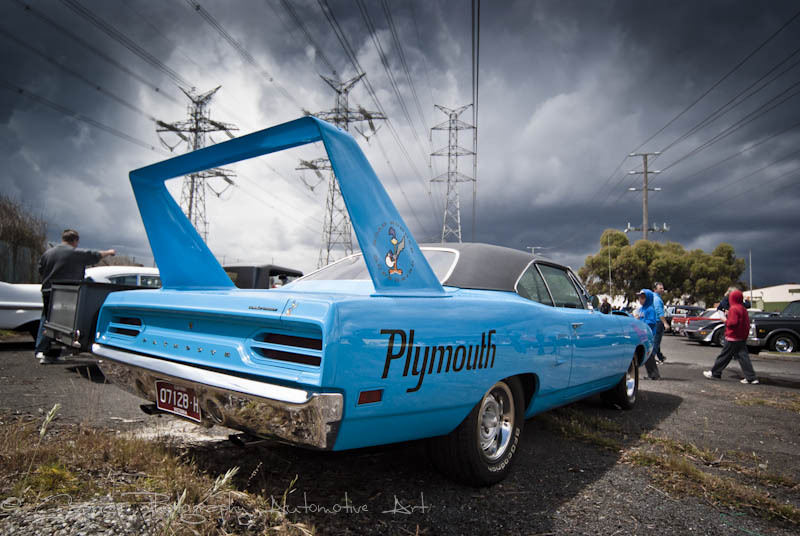 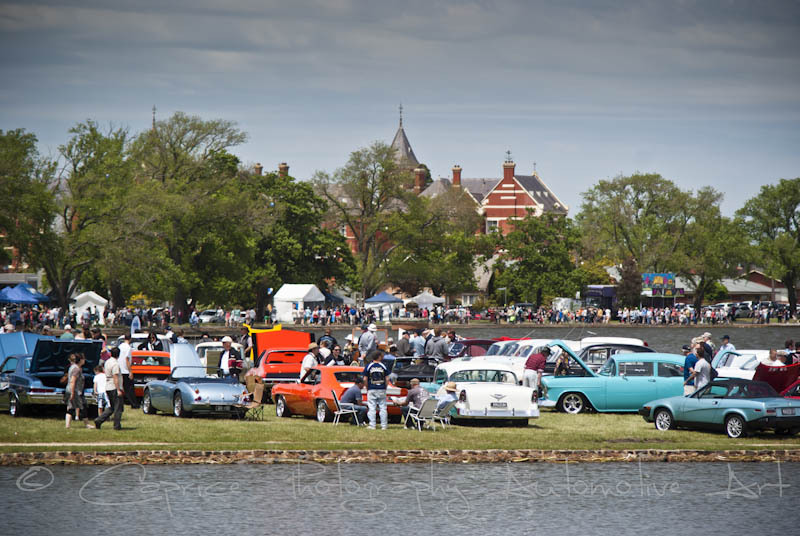 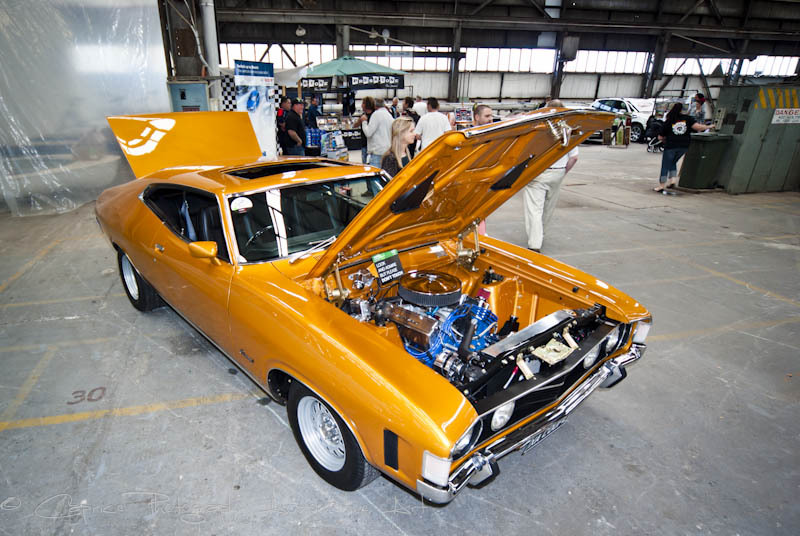 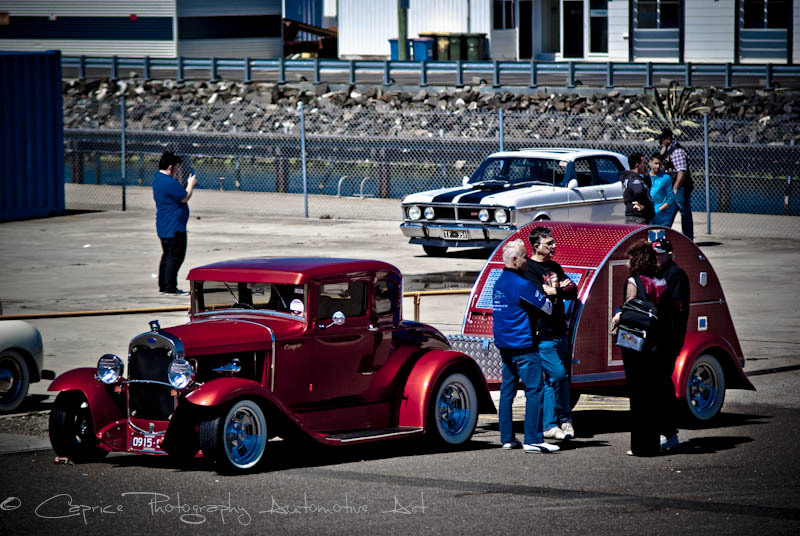 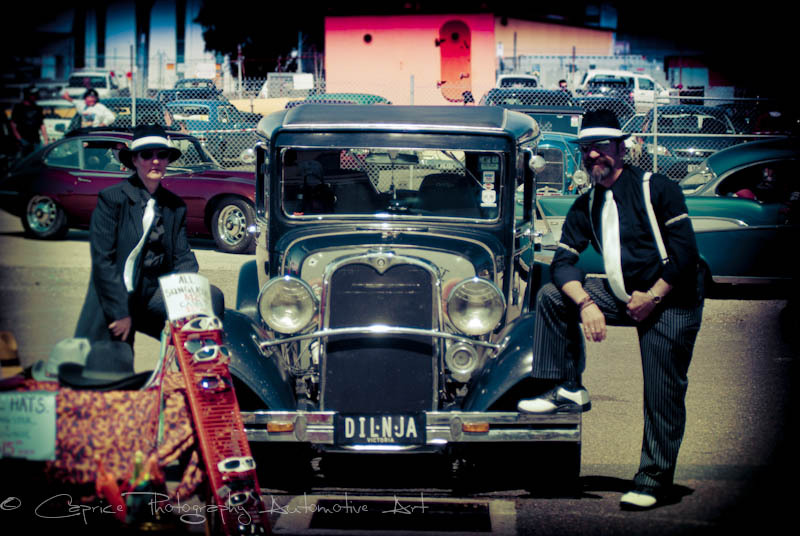 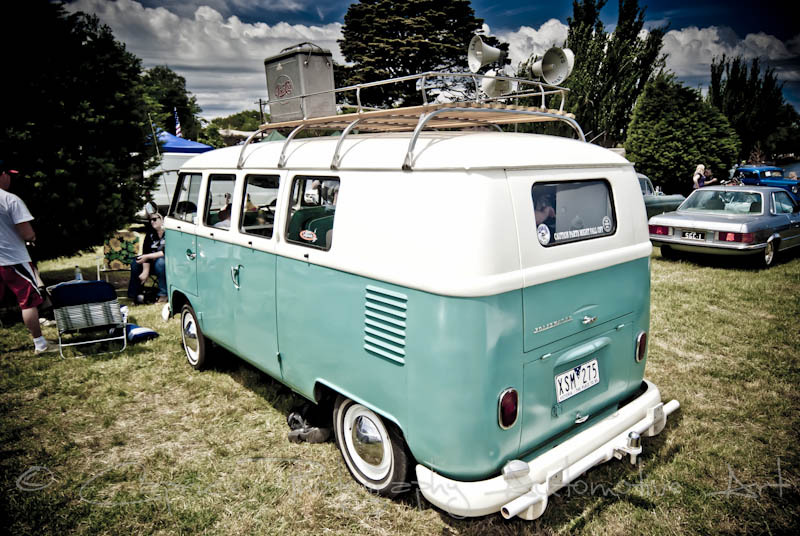 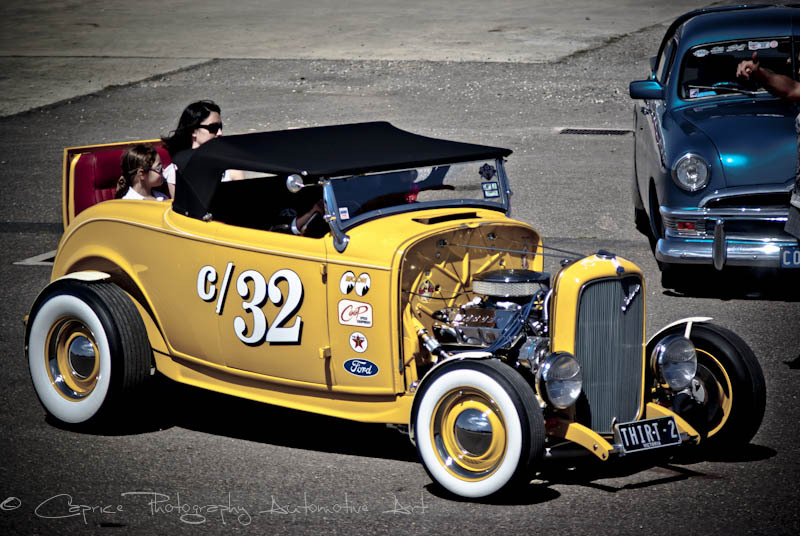 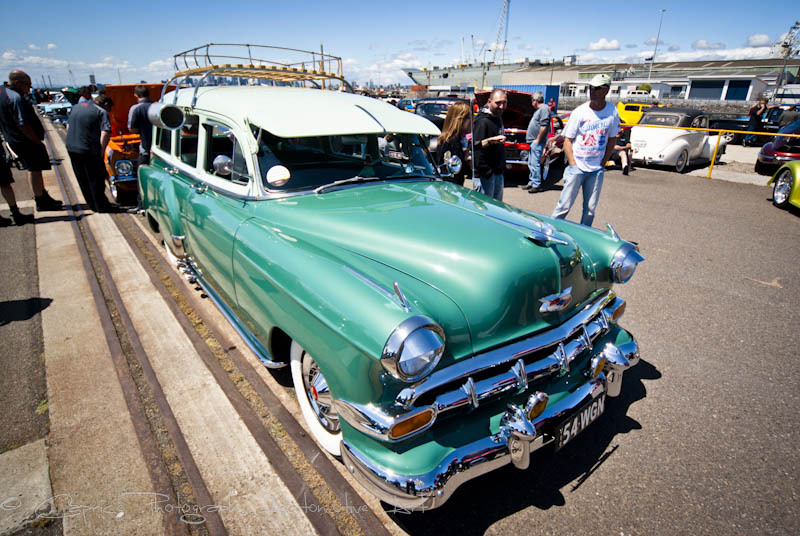 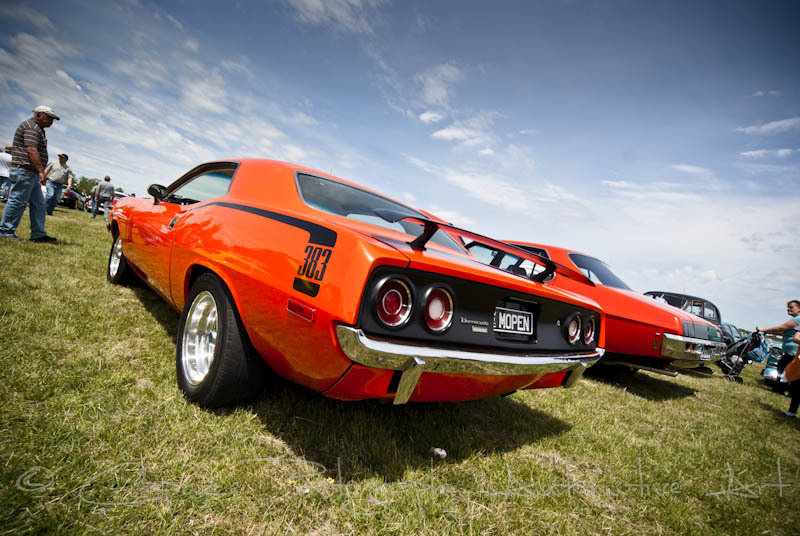 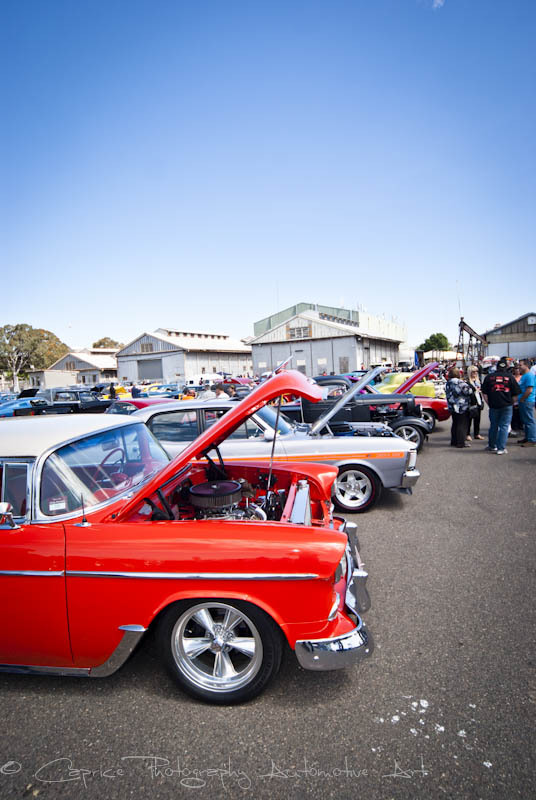 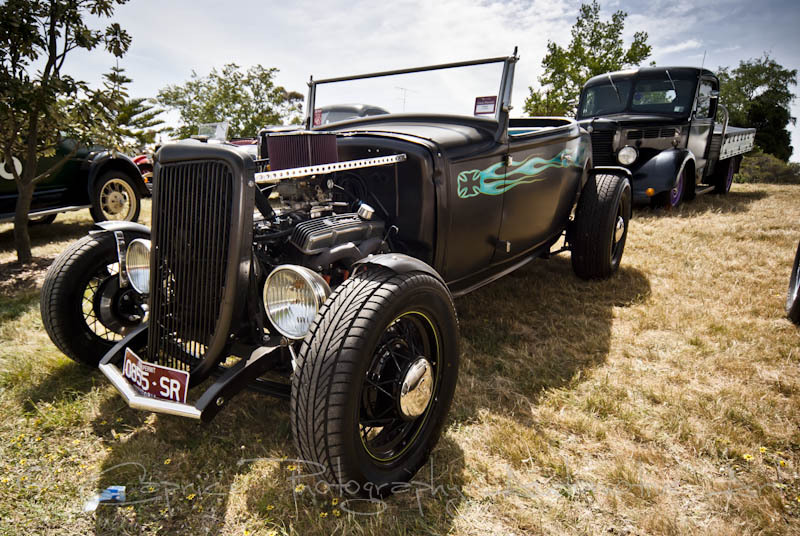 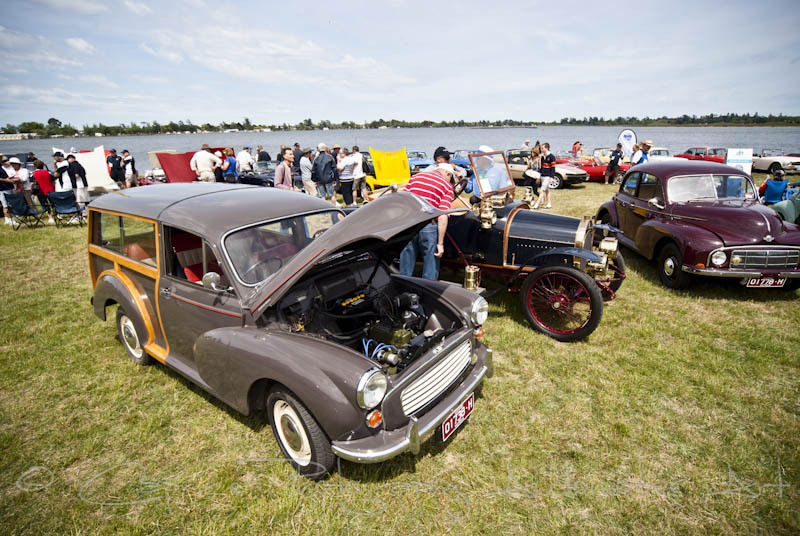 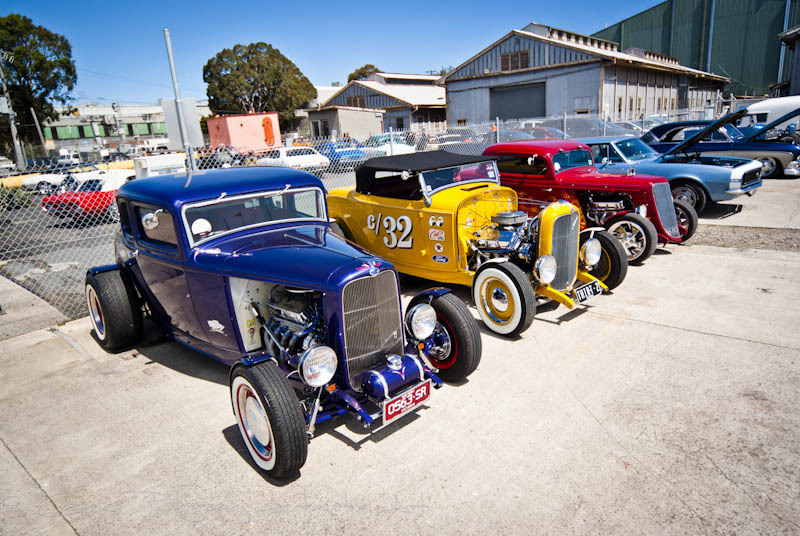 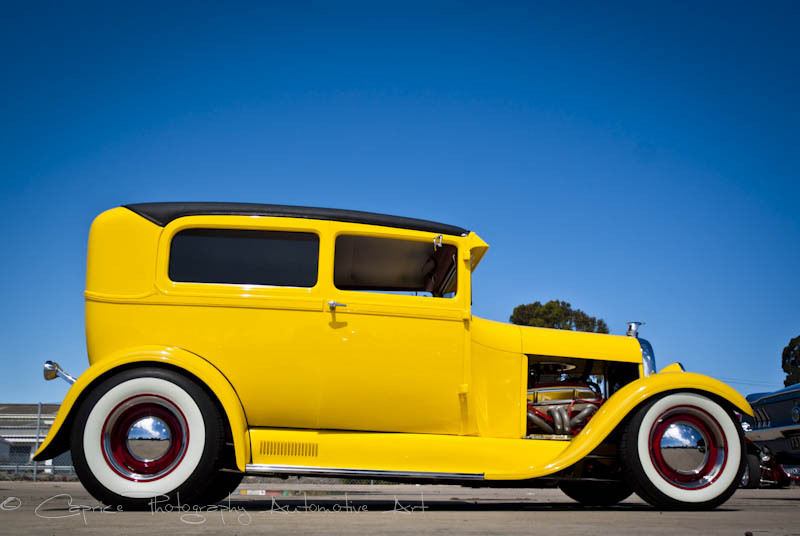 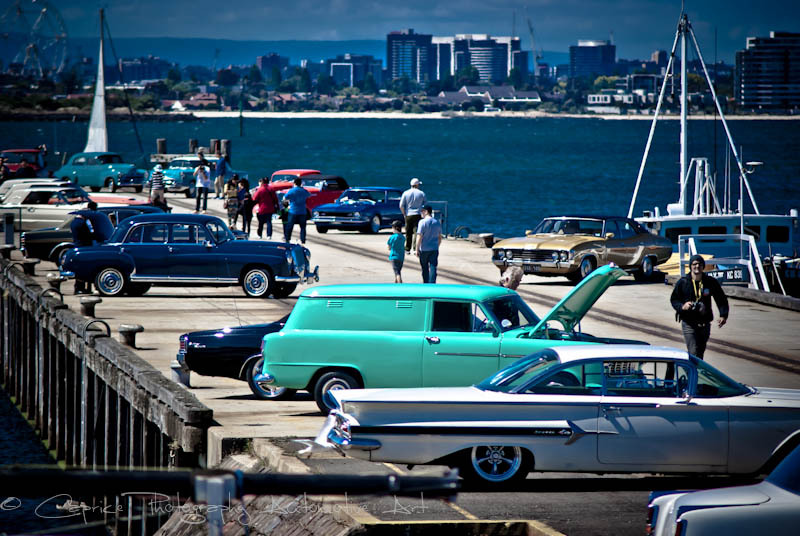 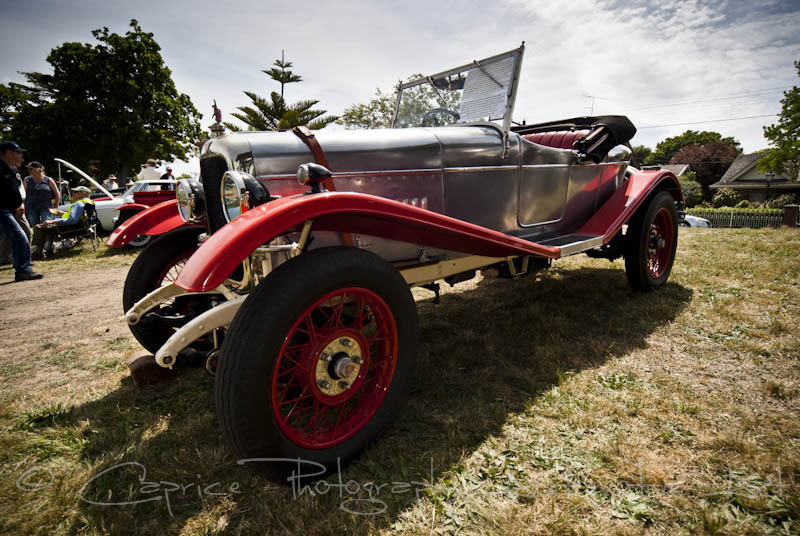 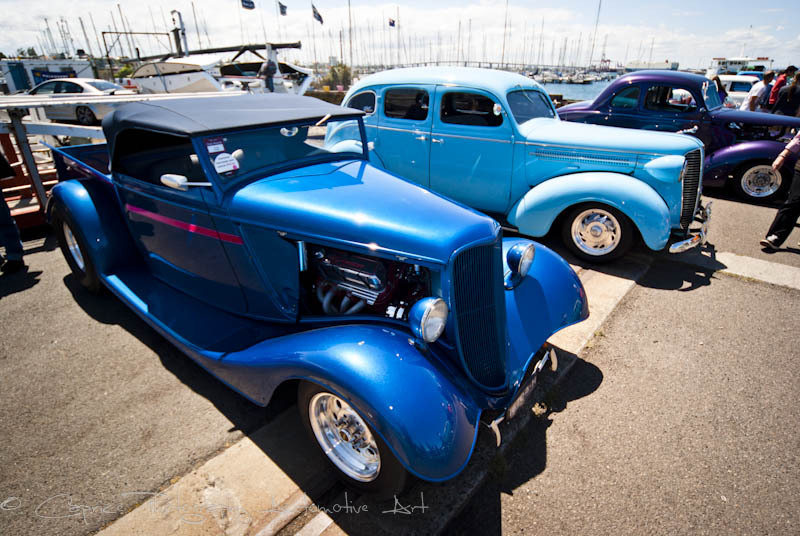 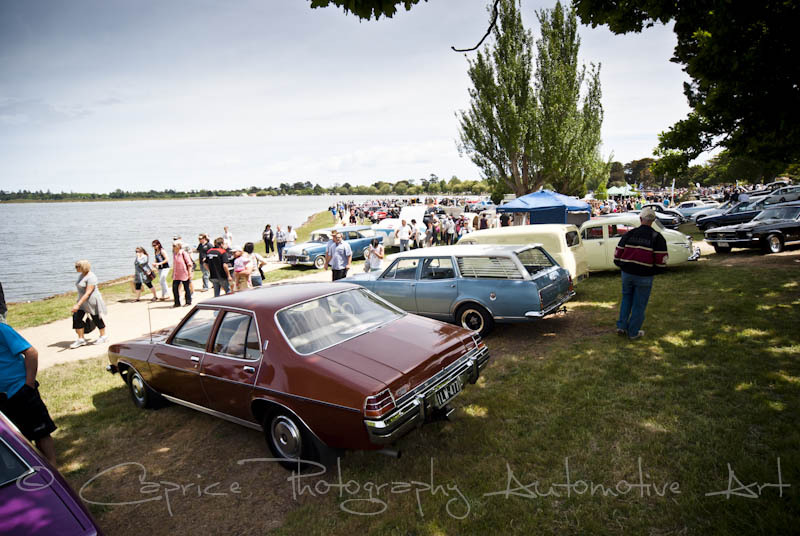 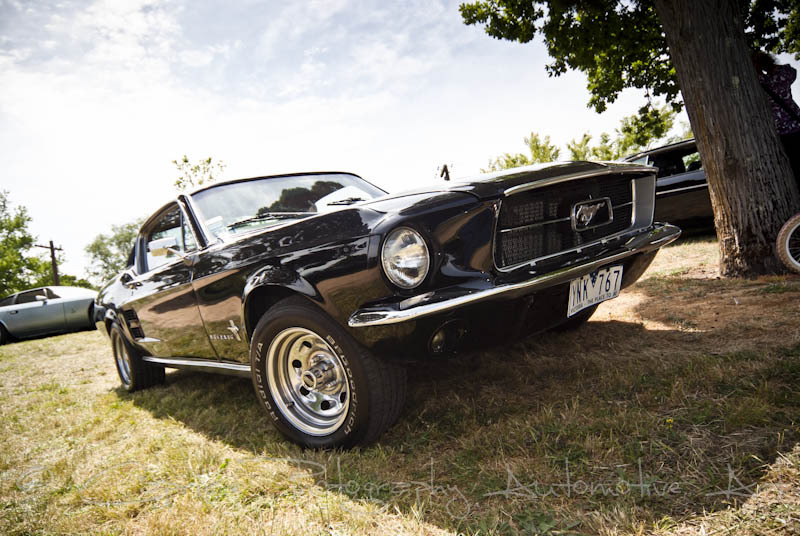 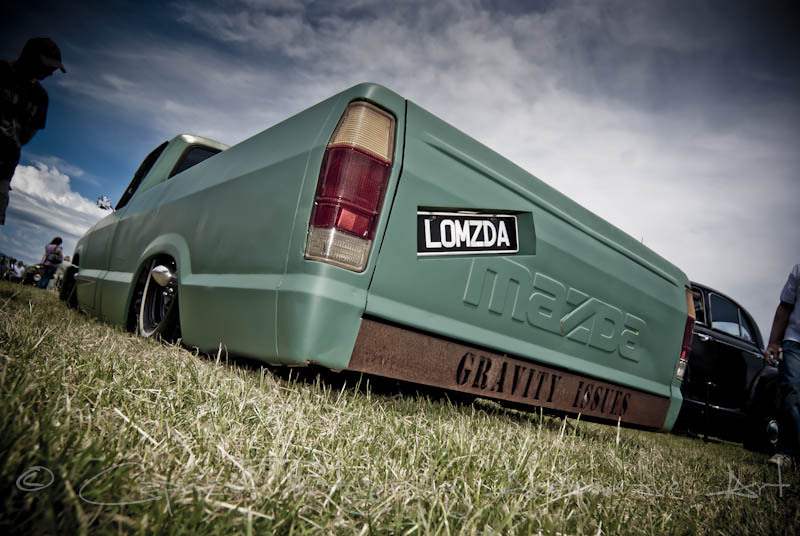 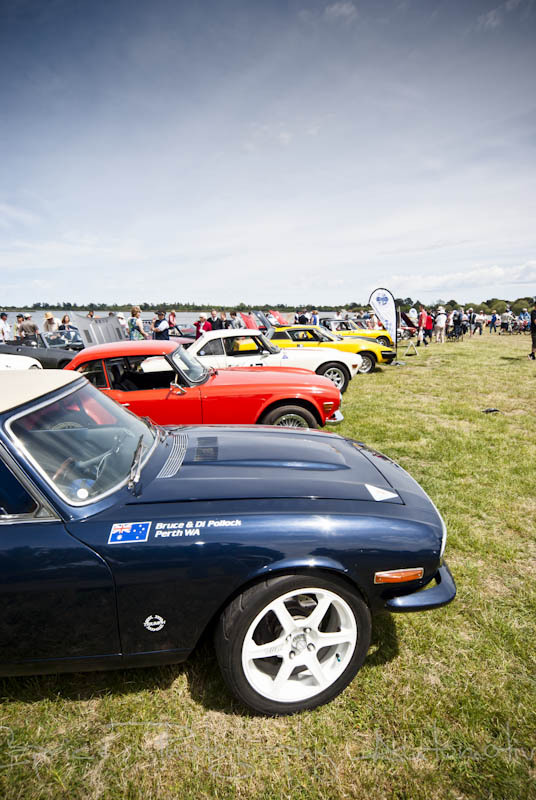 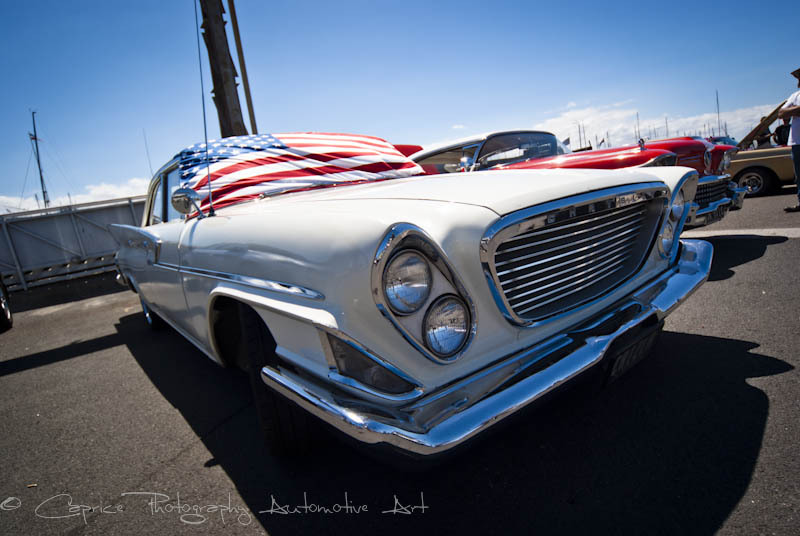 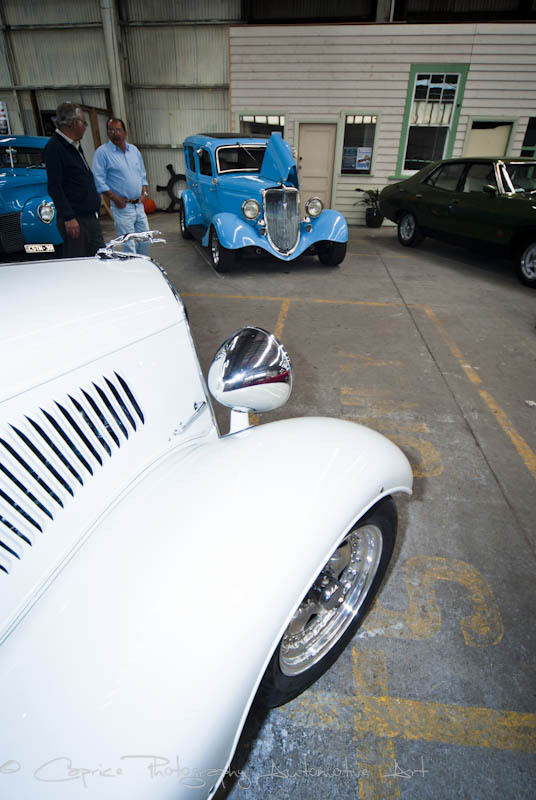 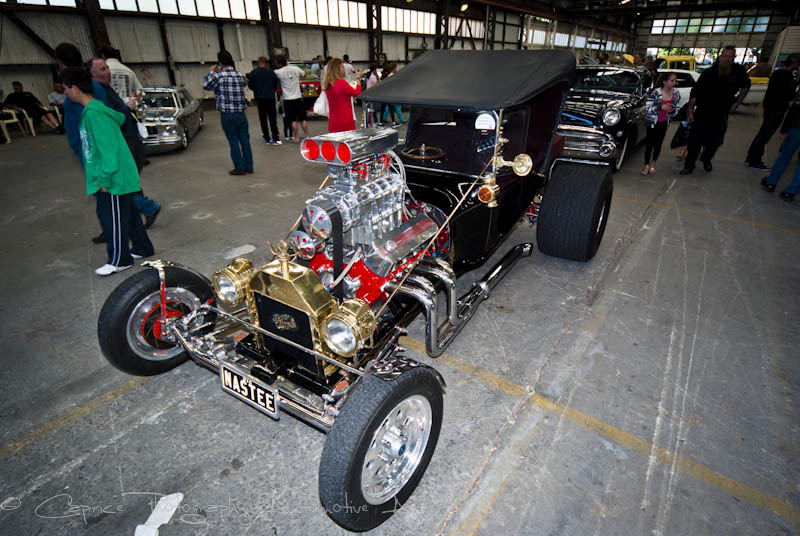 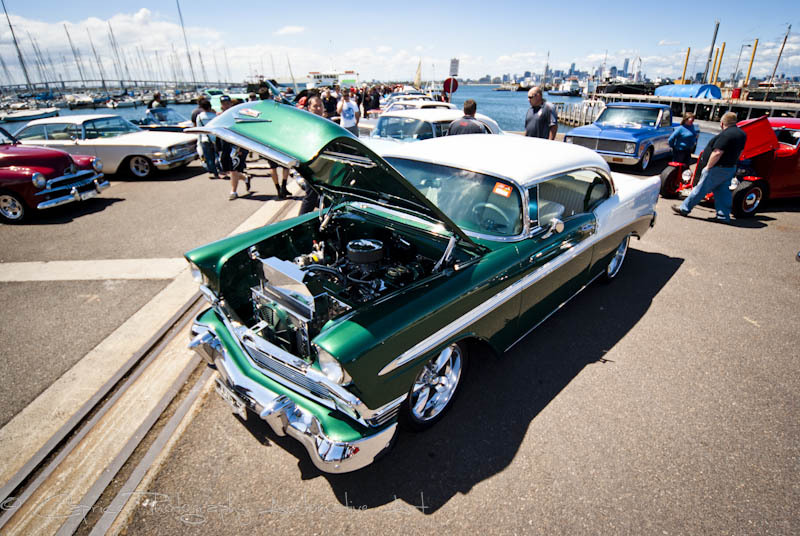 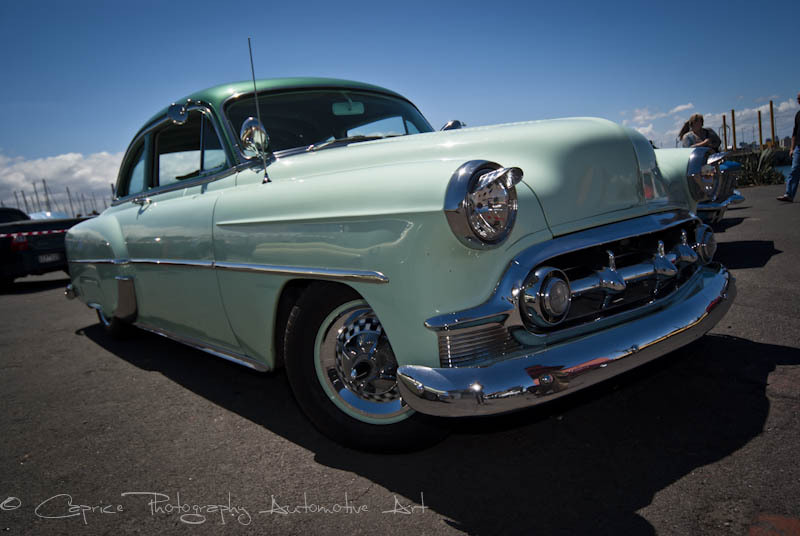 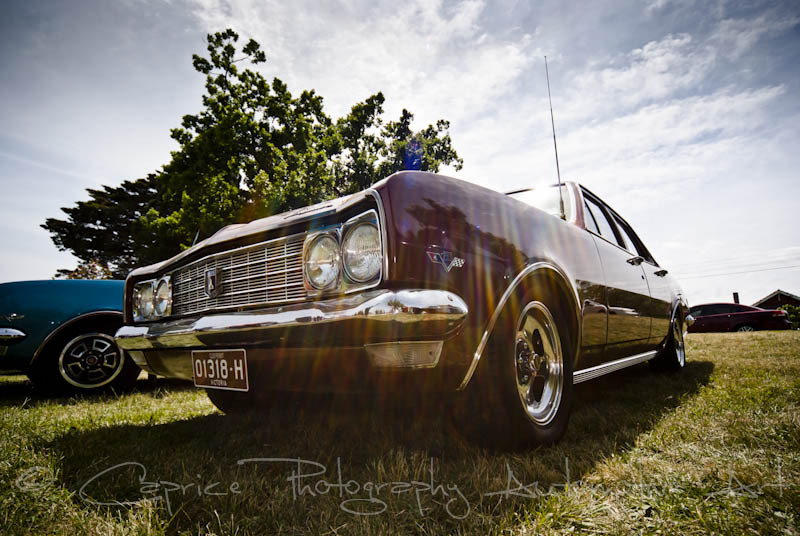 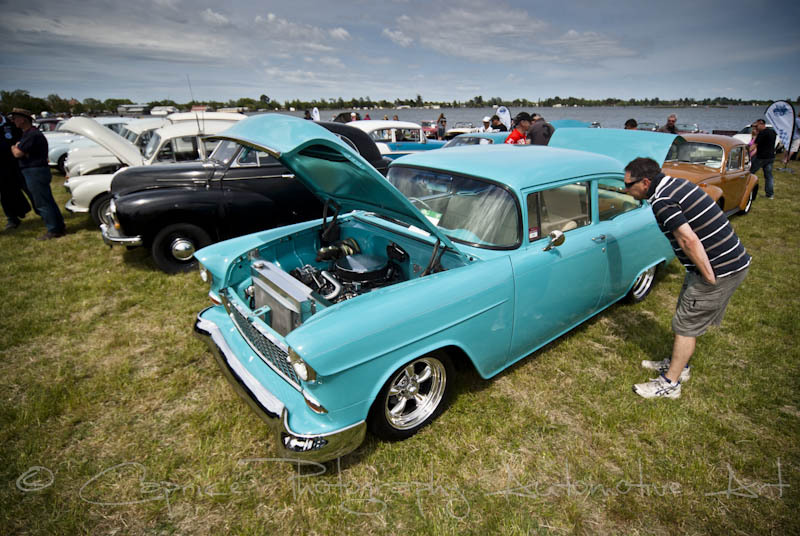 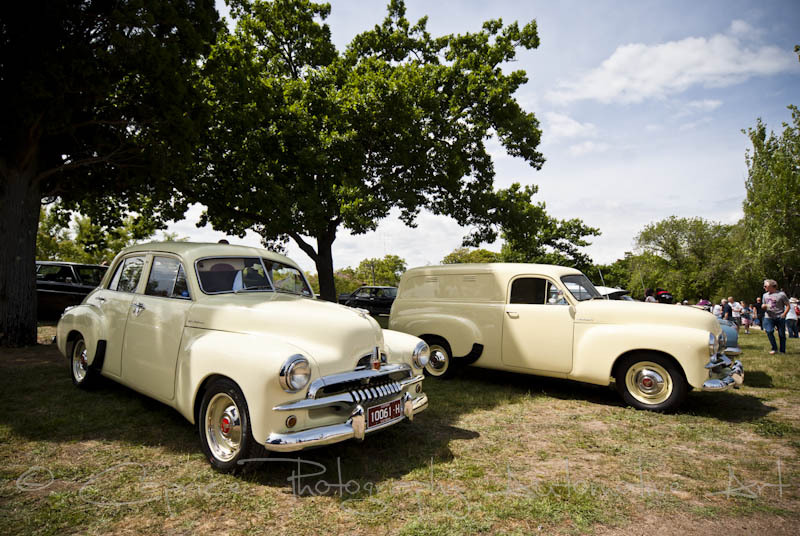 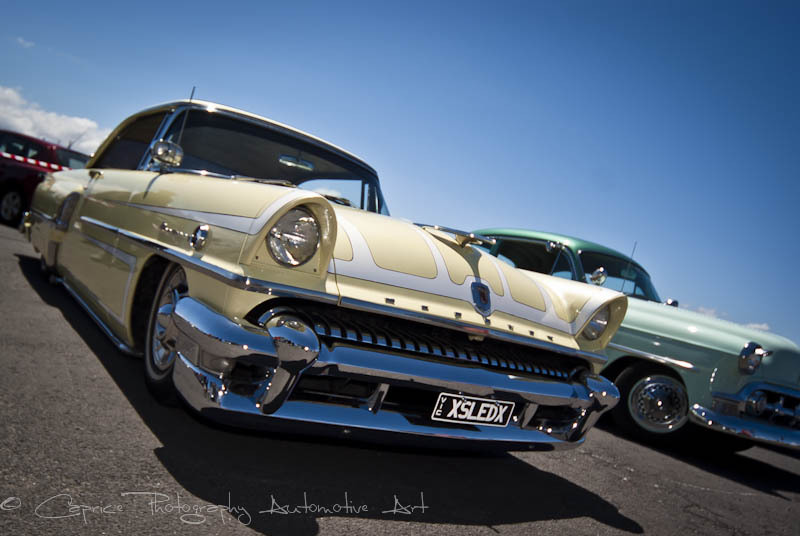 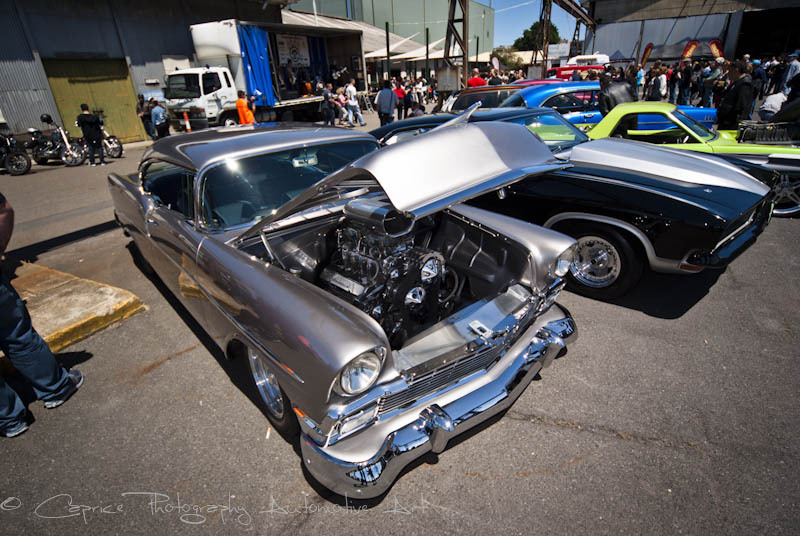 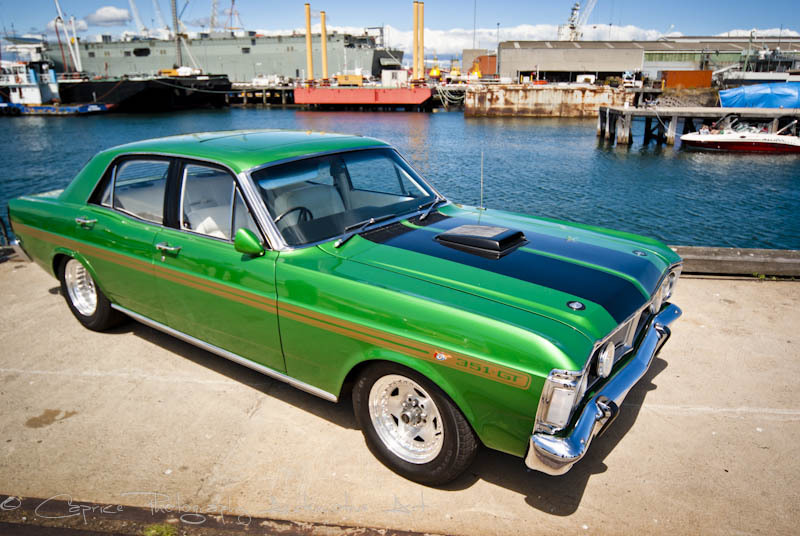 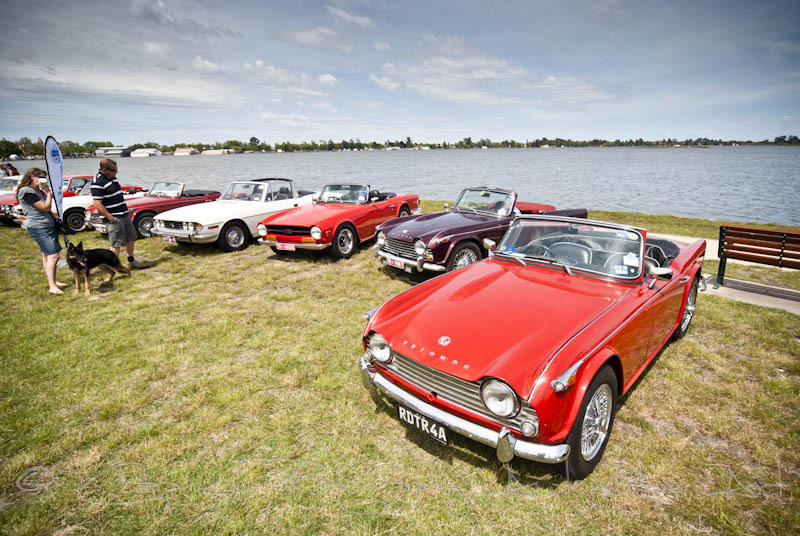 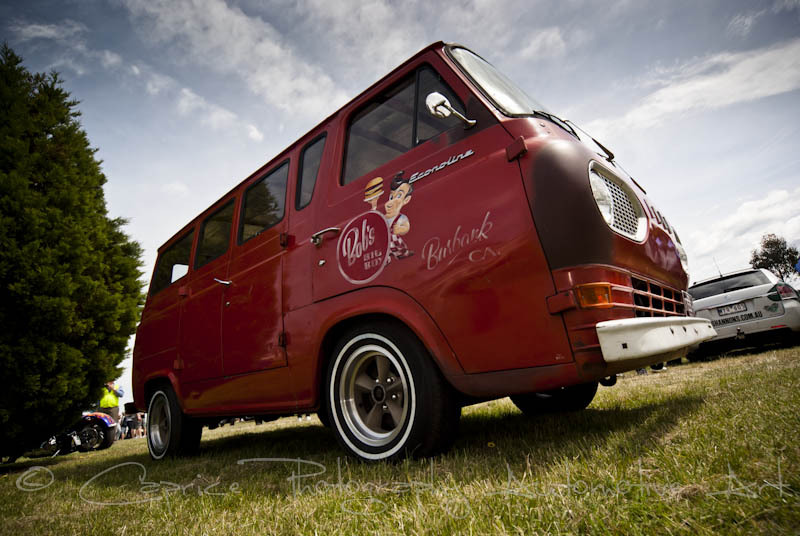 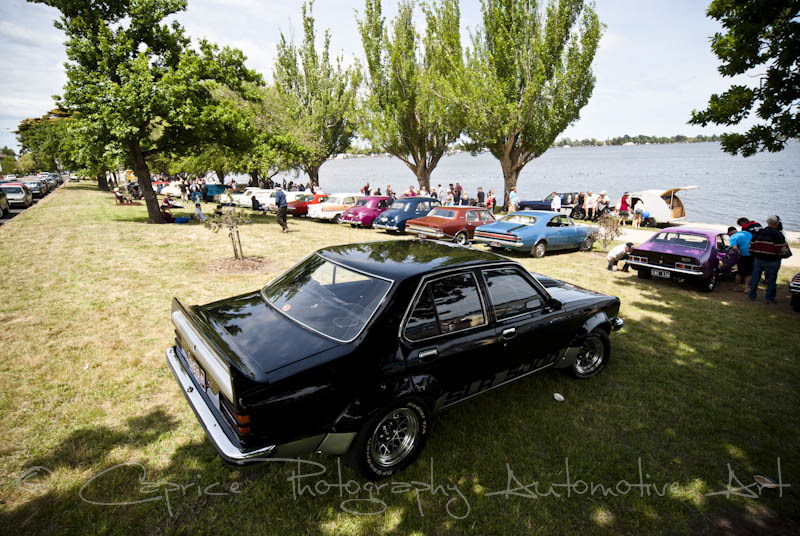 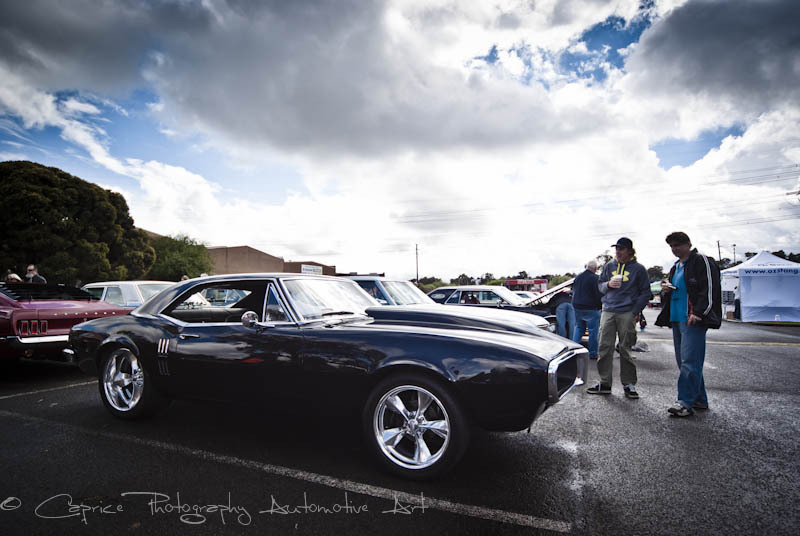 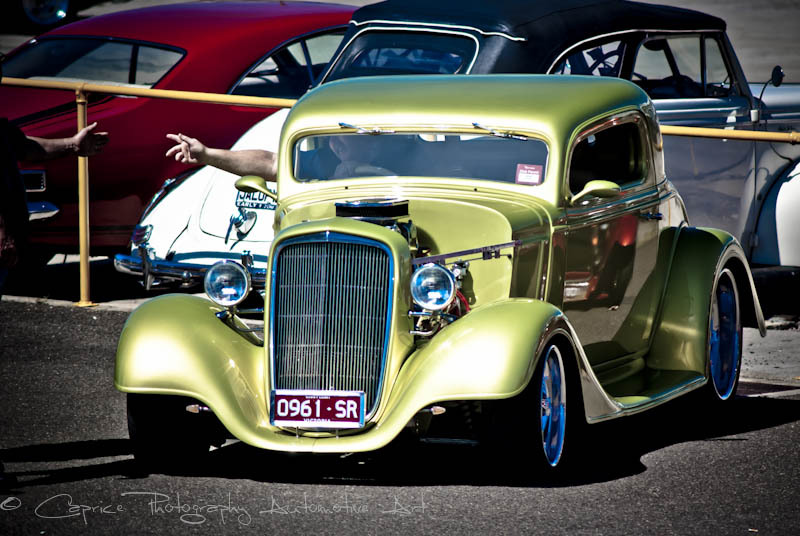 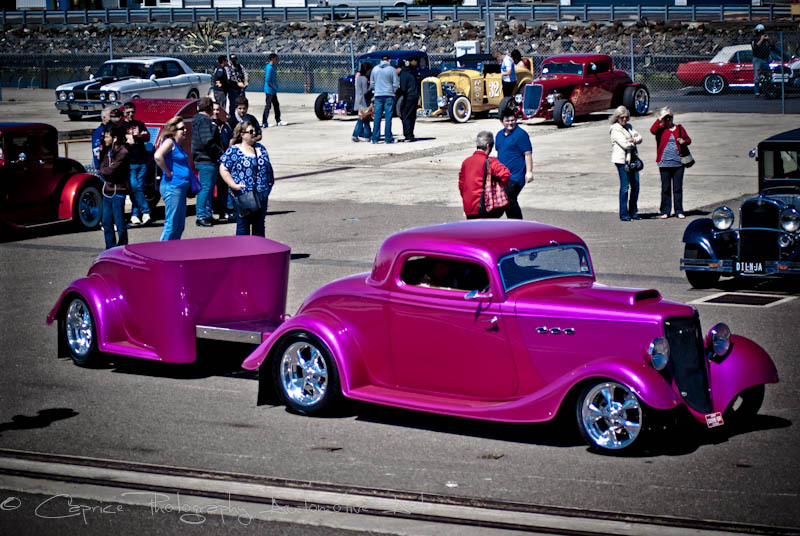 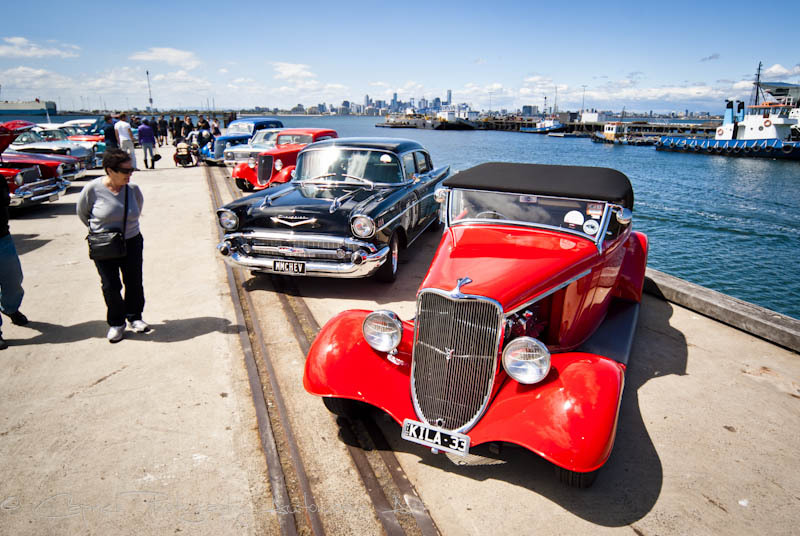 Held on the picturesque Williamstown docks with the Melbourne skyline as a backdrop, high quality cars and bikes covered the concrete grounds and pier while rock and roll tunes courtesy of Itchy Fingers resonated across the docks adding to the atmosphere. 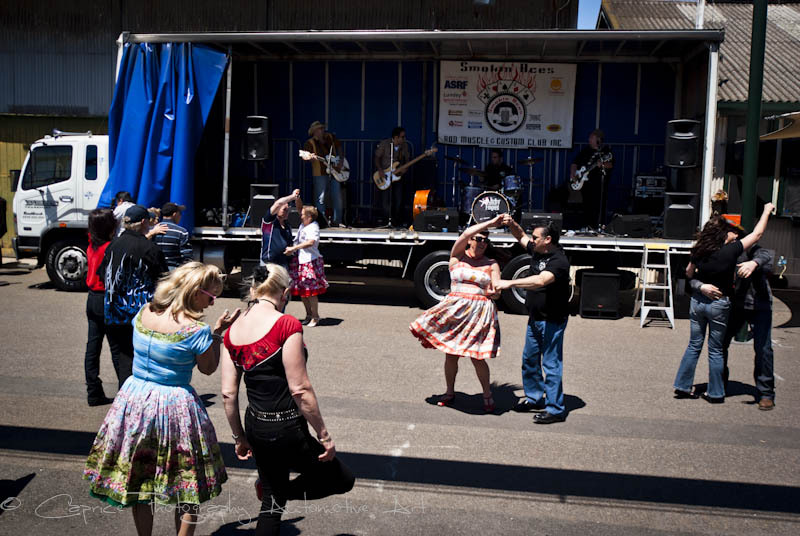 The visual spectacle was further enhanced as rock and roll dances kicked up their heels showing us how it used to be done in the good ol’ days. 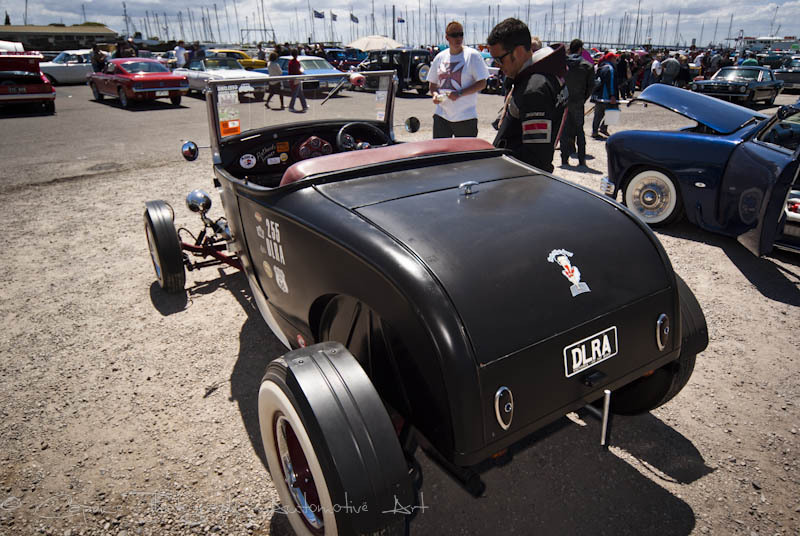 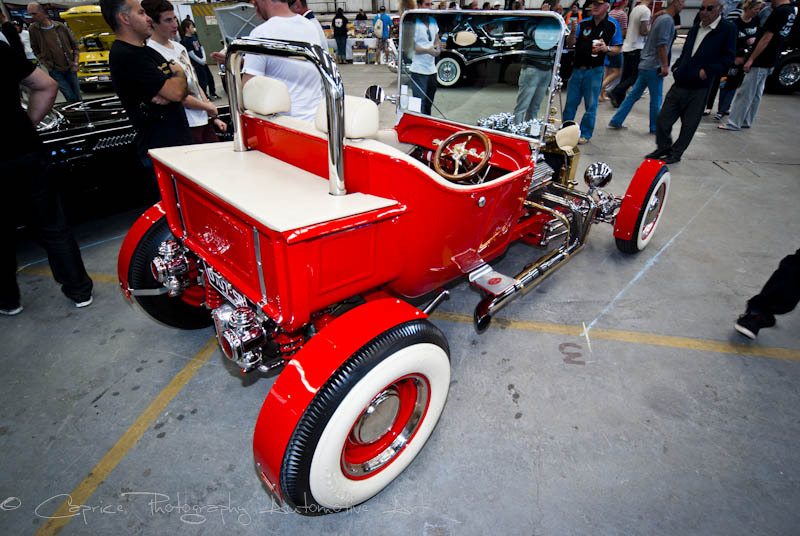 Heading inside the Seaworks Maritime shed, punters were greeted with high quality automotive eye candy from the well known twin blown Mustang to Case’s gorgeous red period style T bucket and a variety of other highly modified and detailed rides gleaming in all their show quality glory. 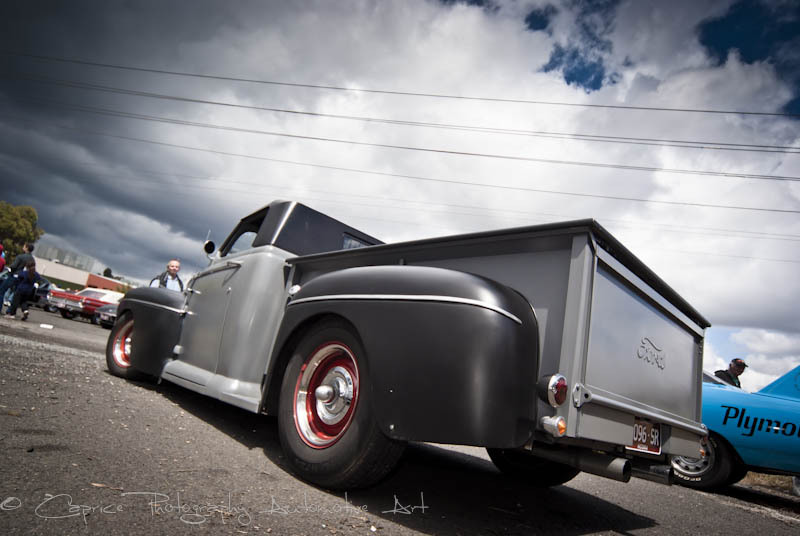 Outside hosted more impressive wheels on show including Peter Grmusa’s mad burnout XA Falcon ute appropriately named Evil XA and flanked by some equally impressive Bowtie hardware. 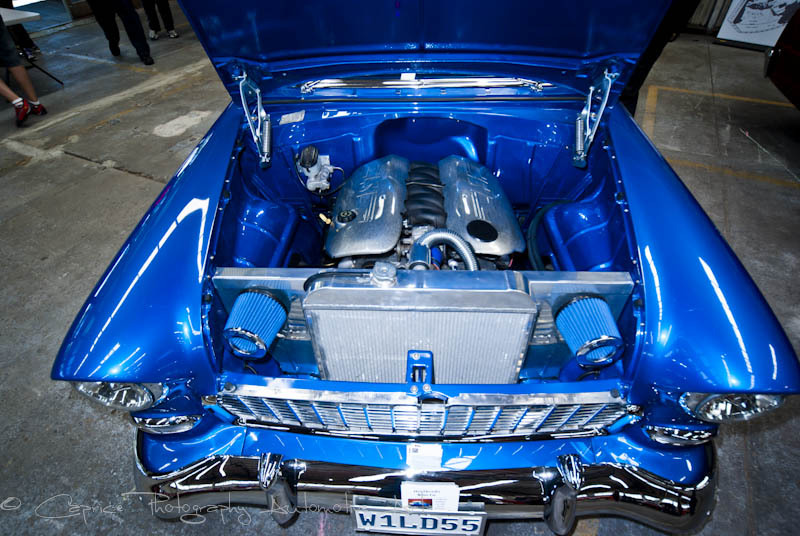 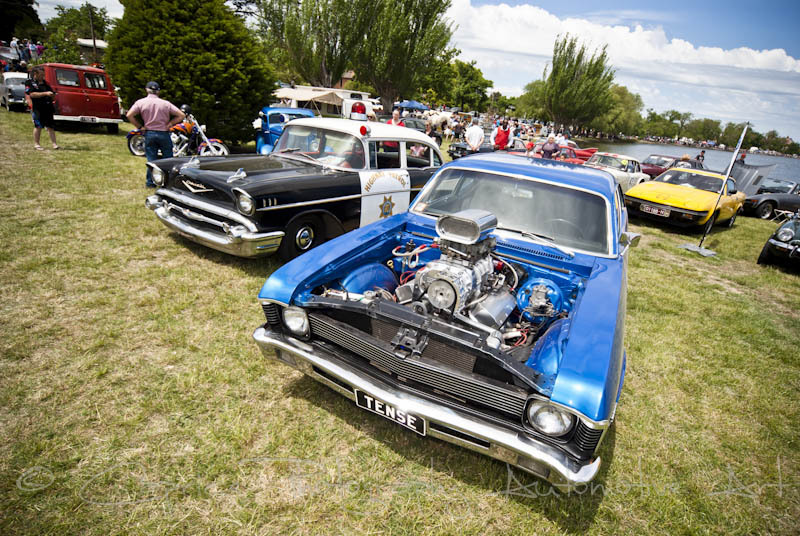 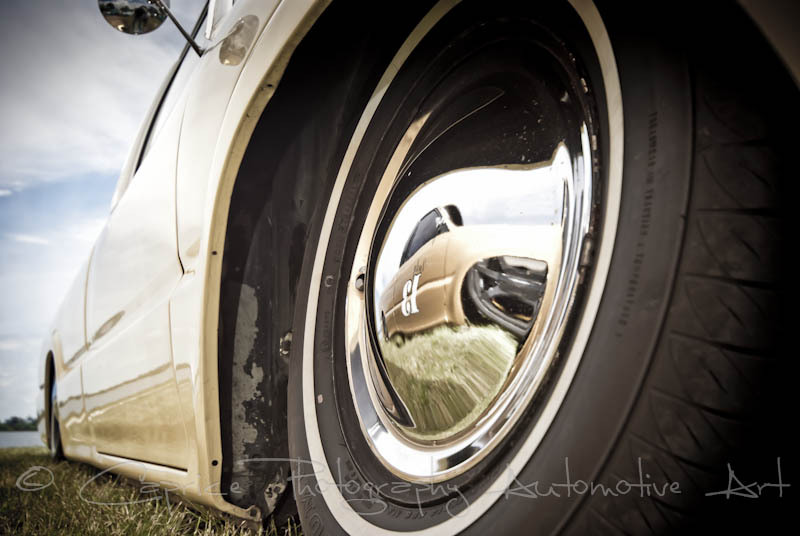 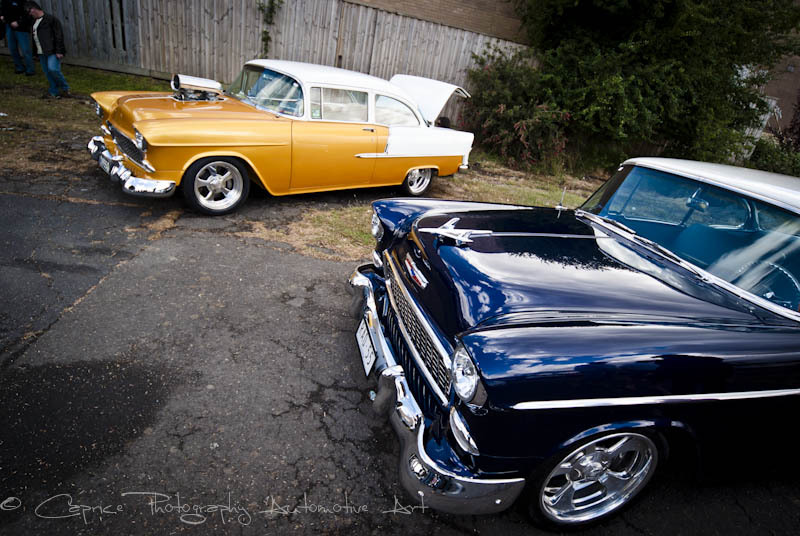 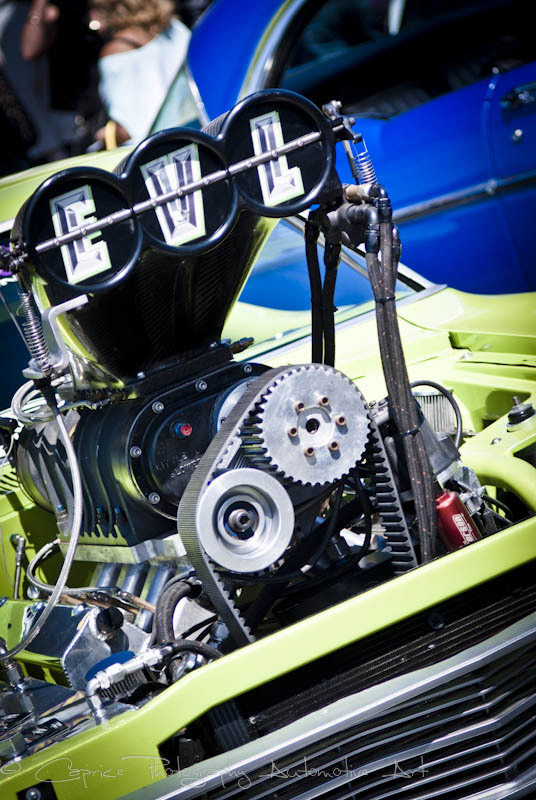 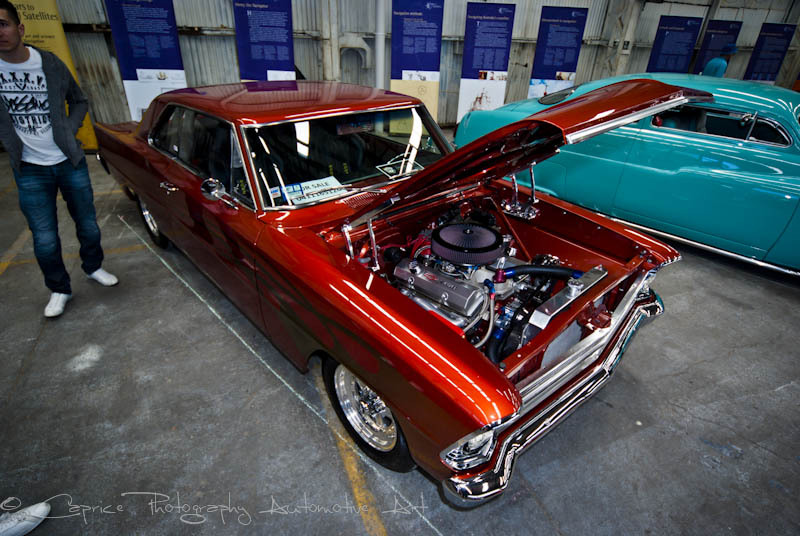 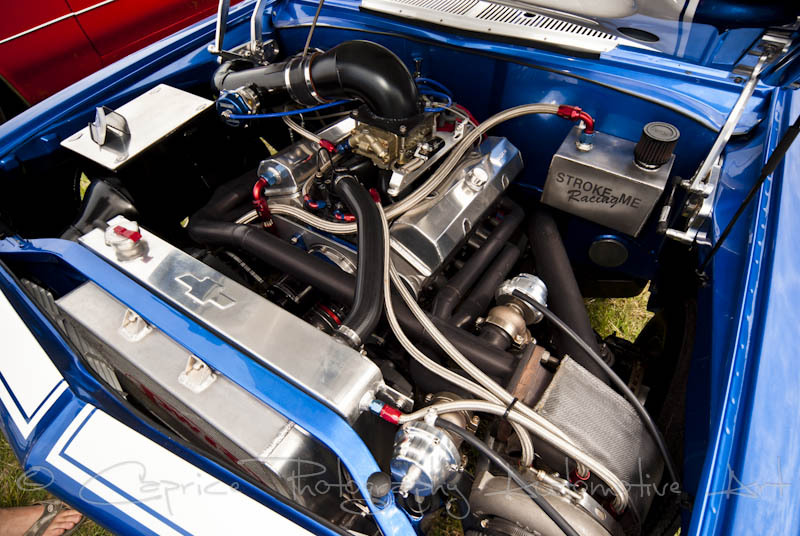 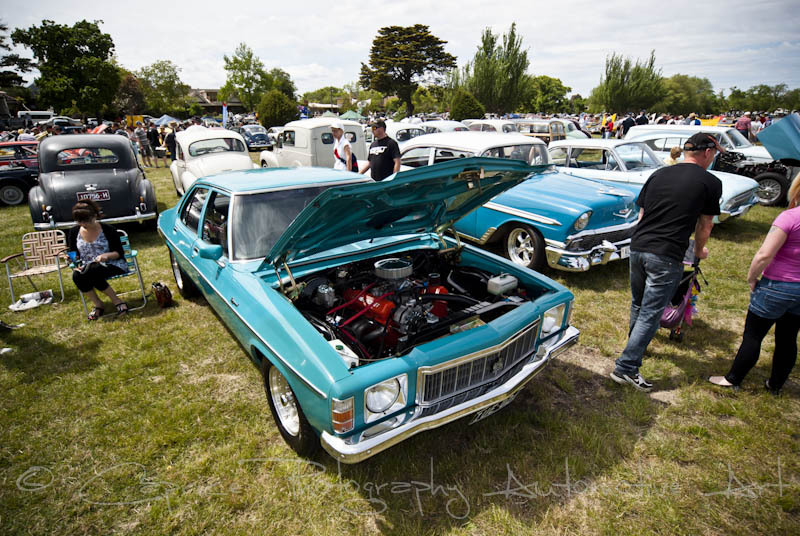 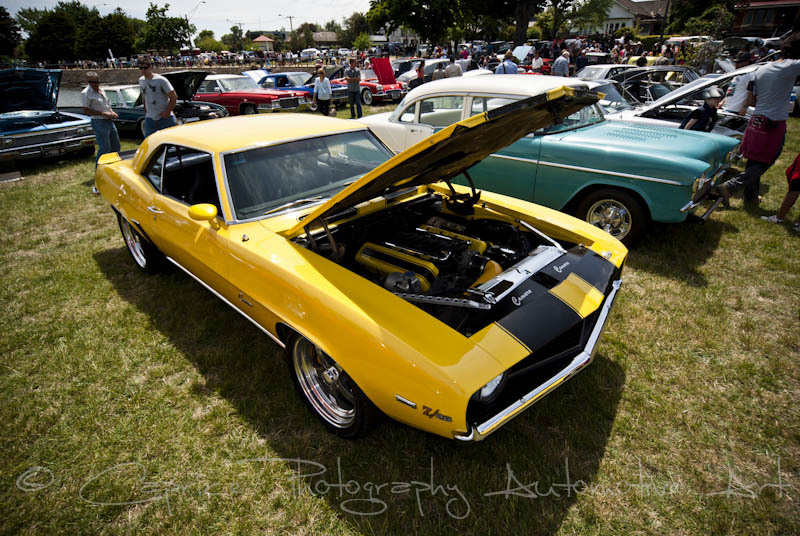 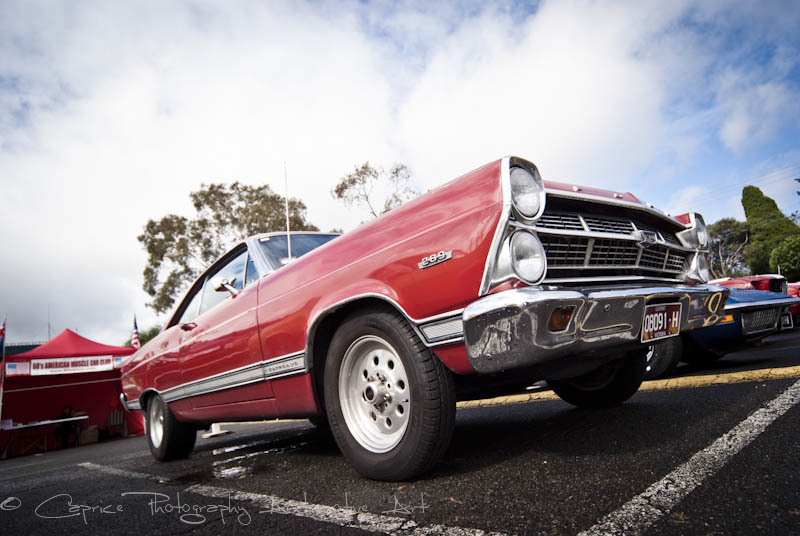 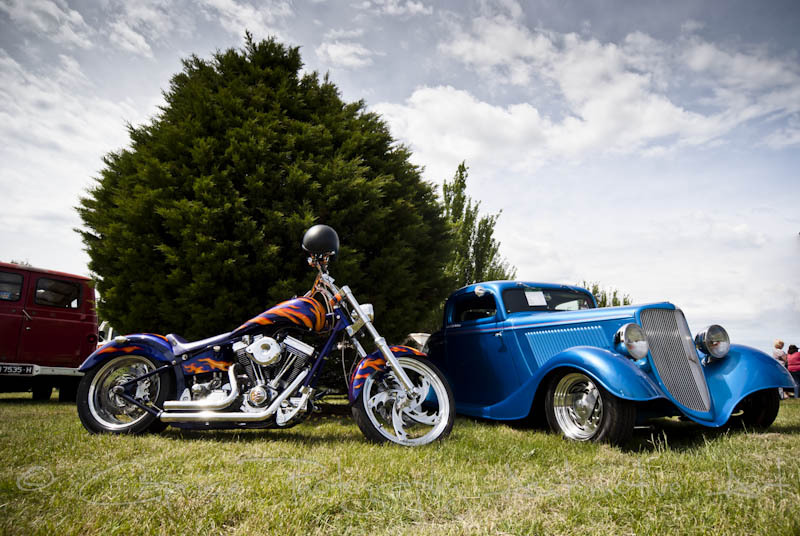 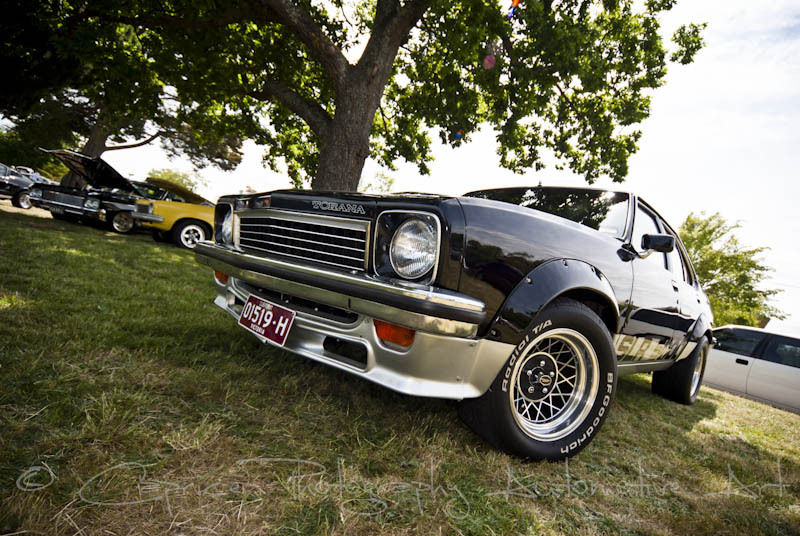 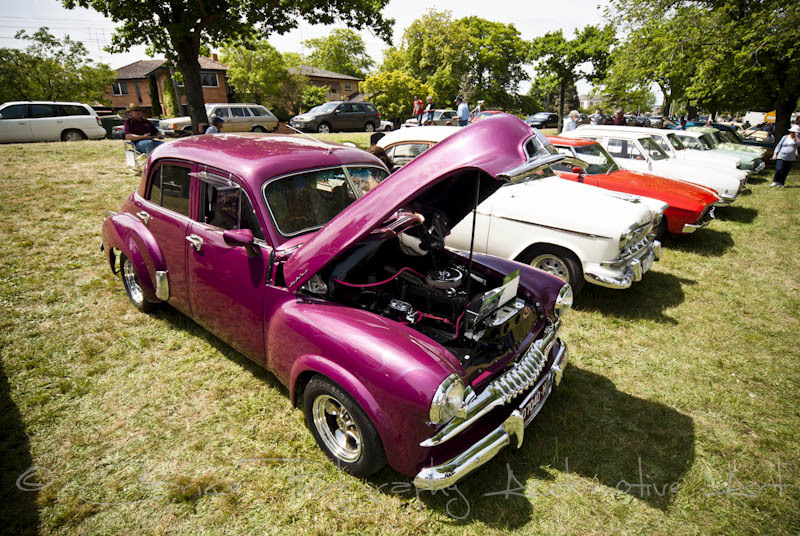 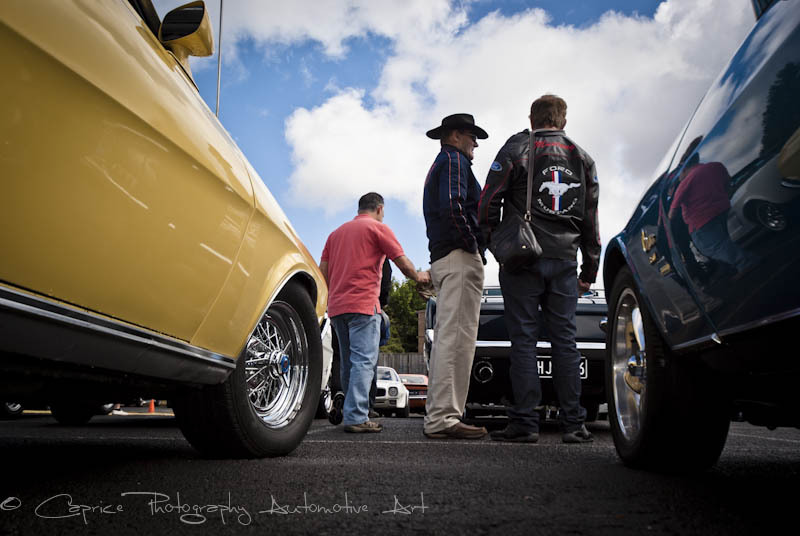 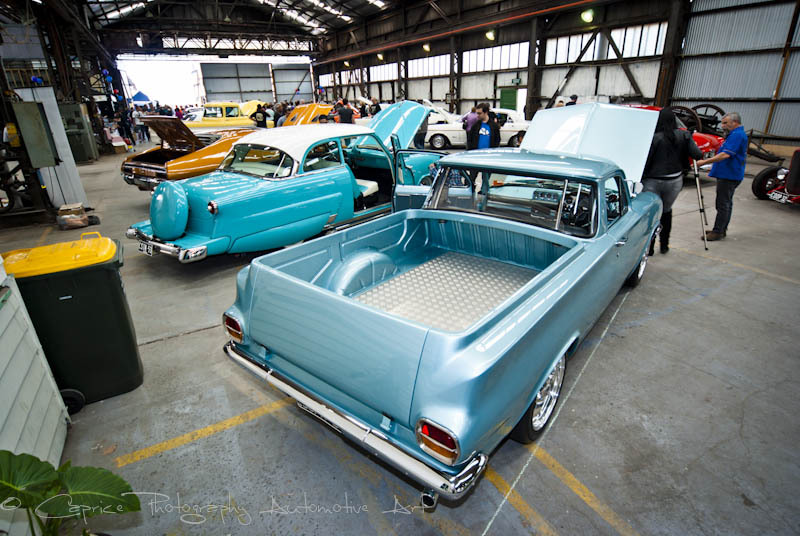 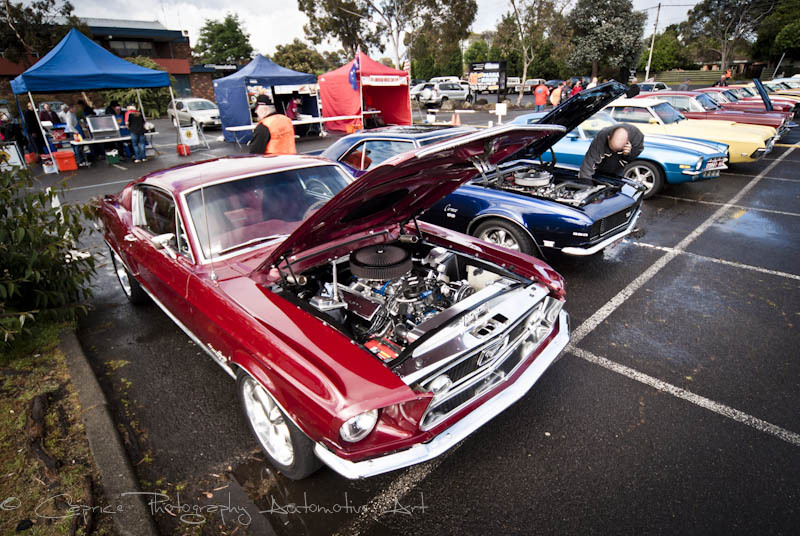 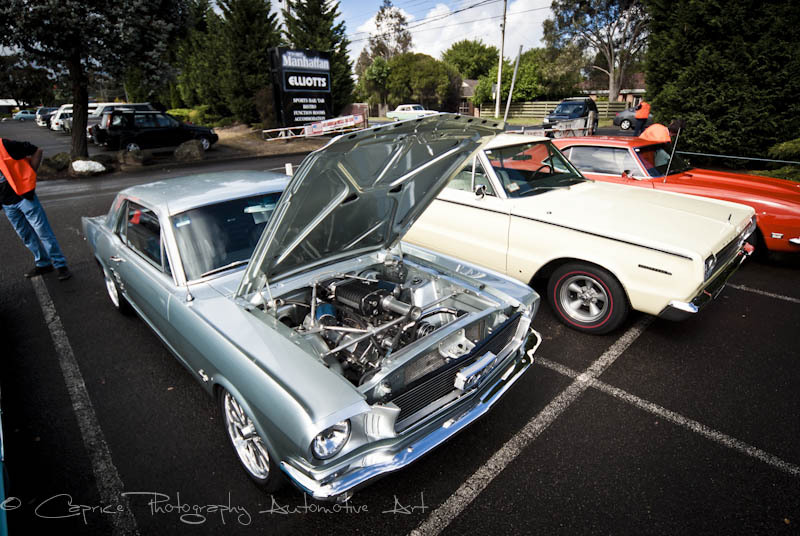 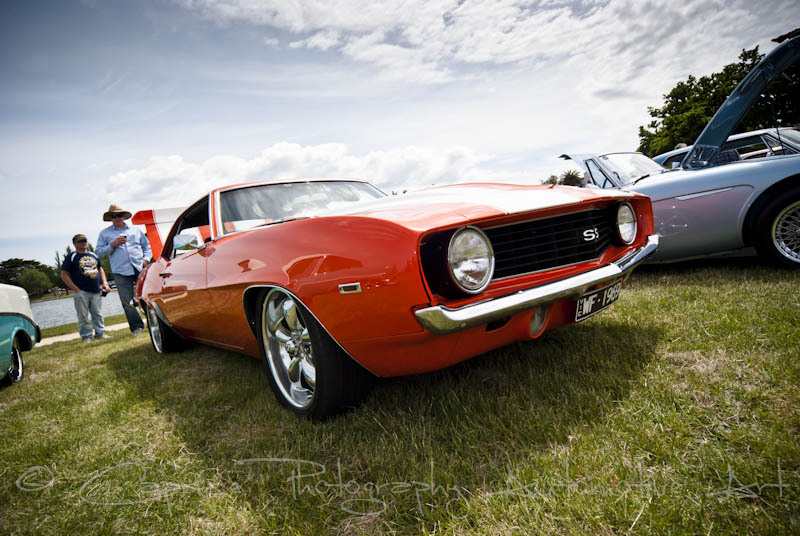 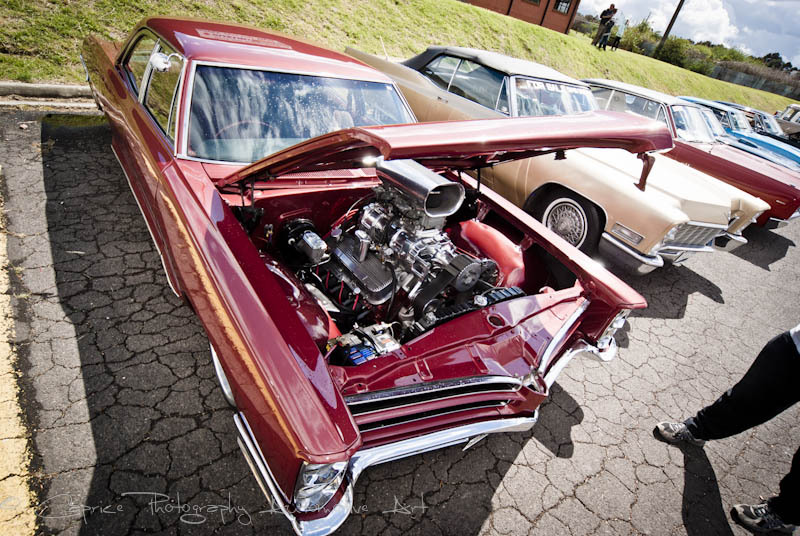 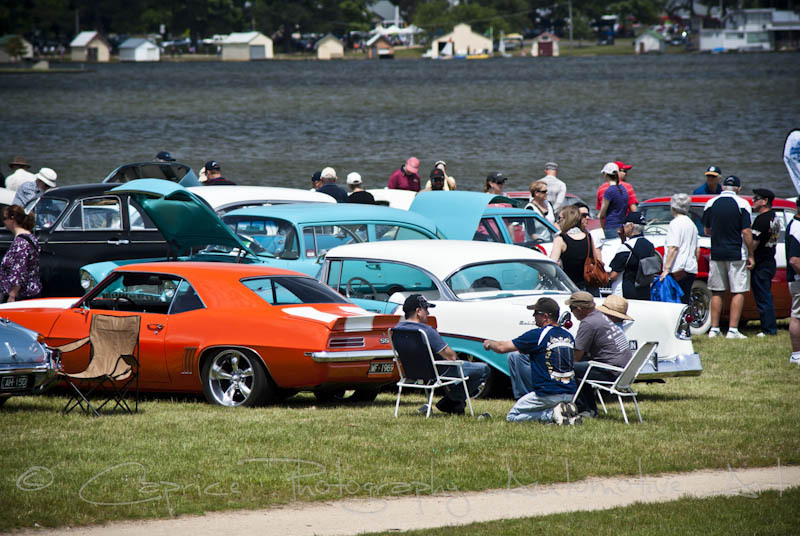 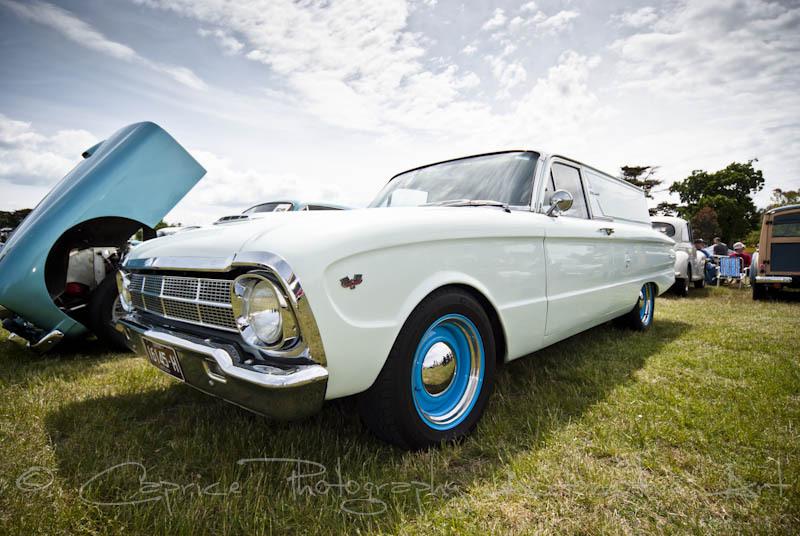 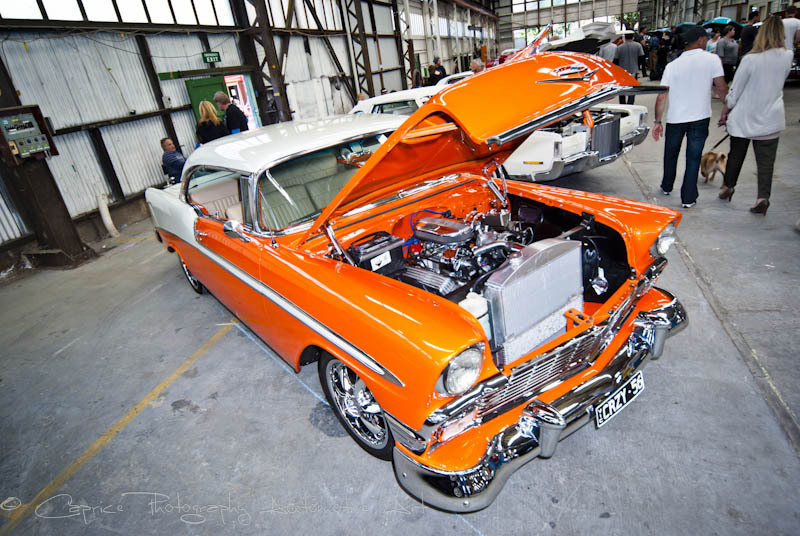 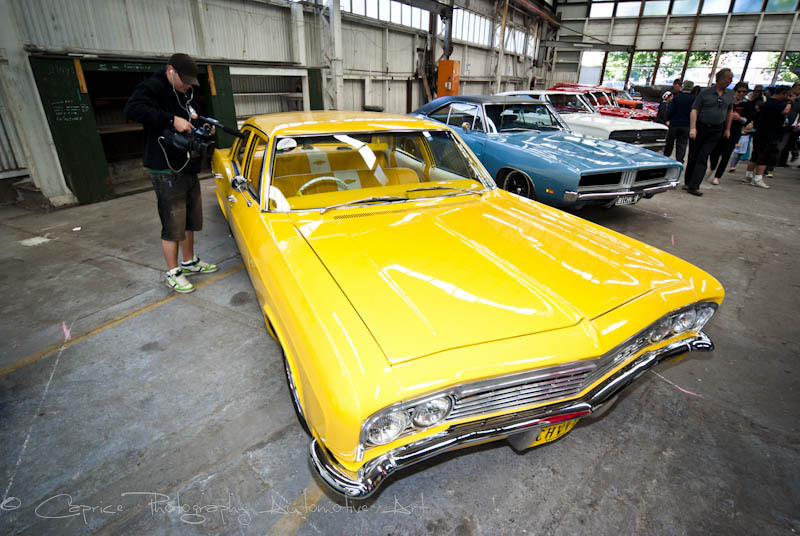 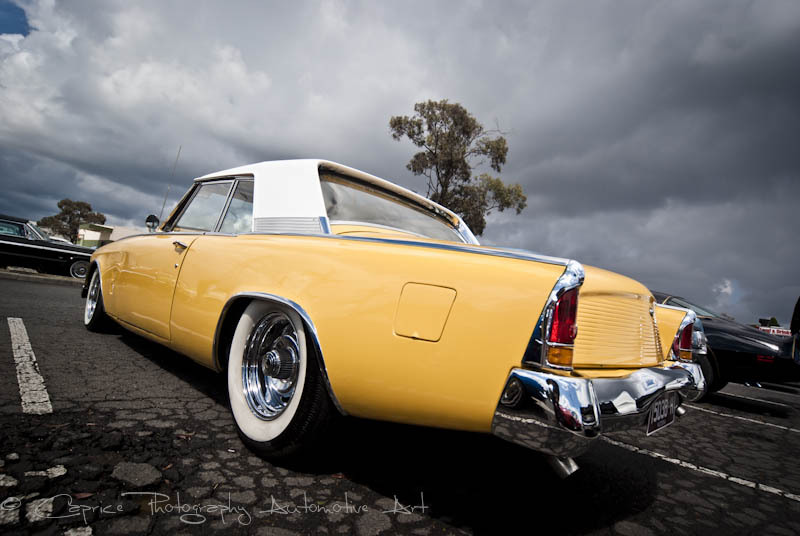 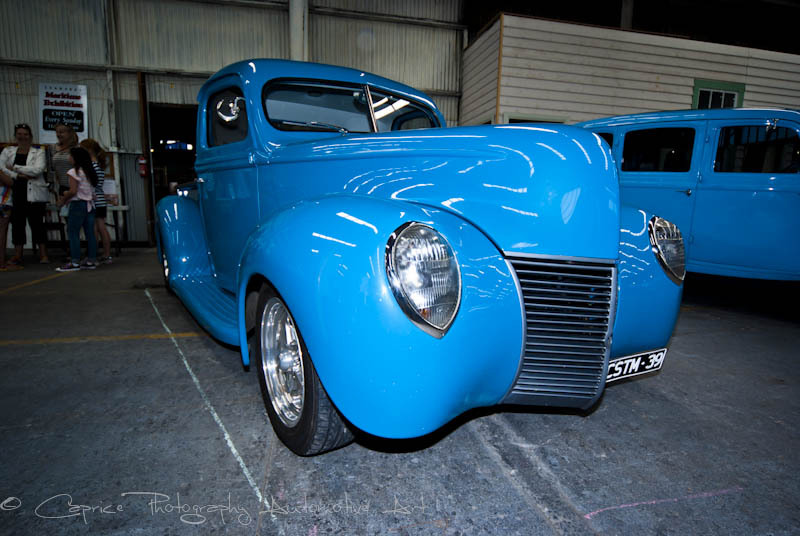 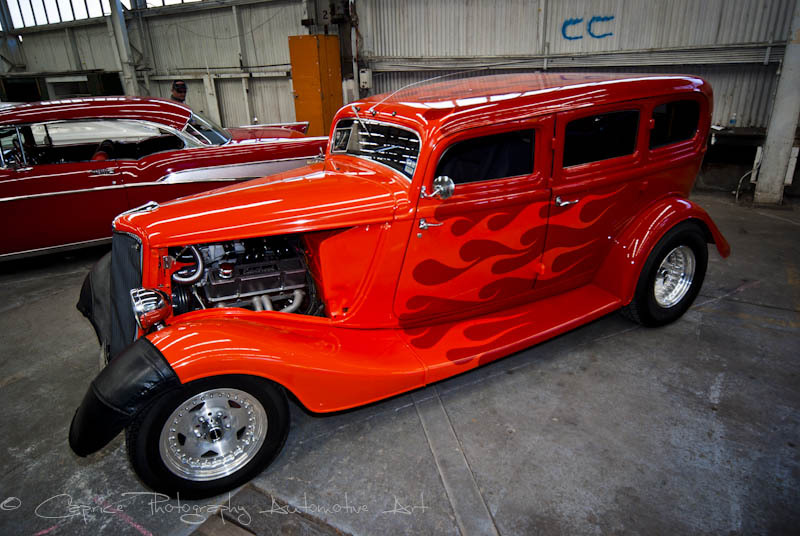 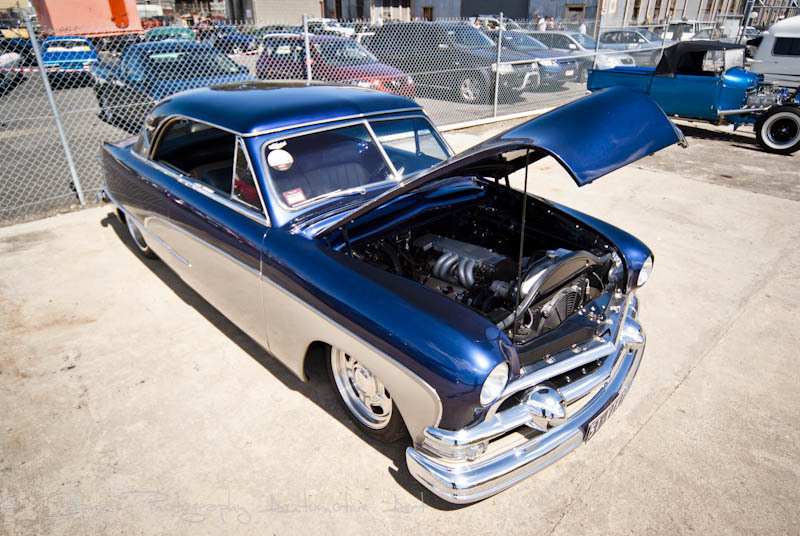 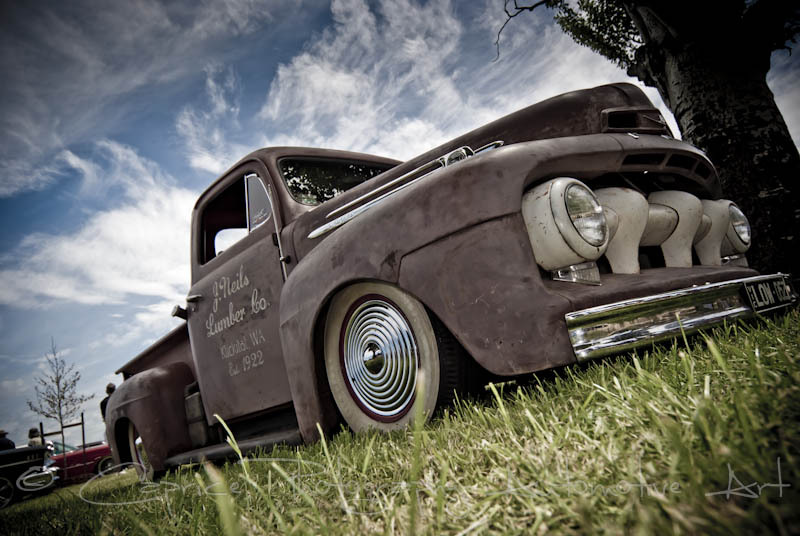 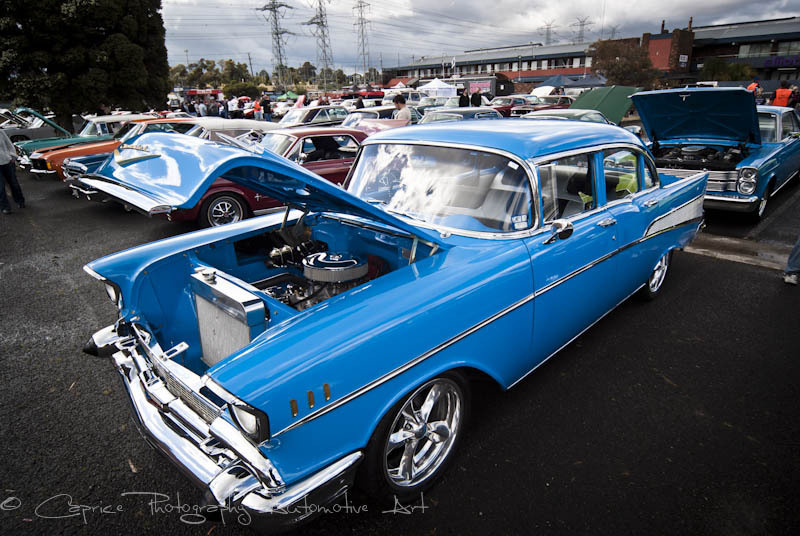 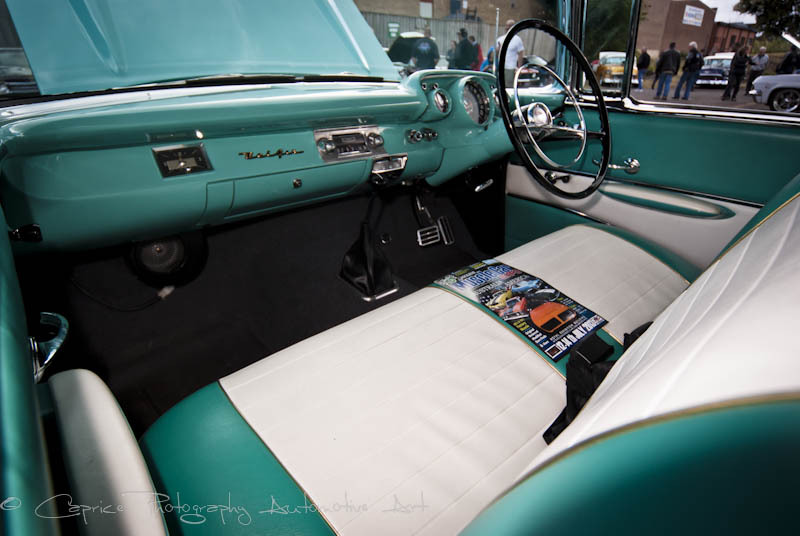 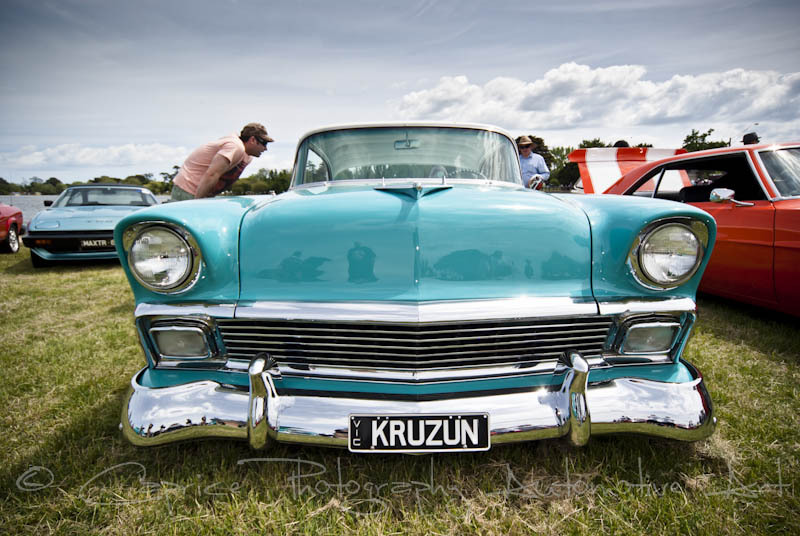 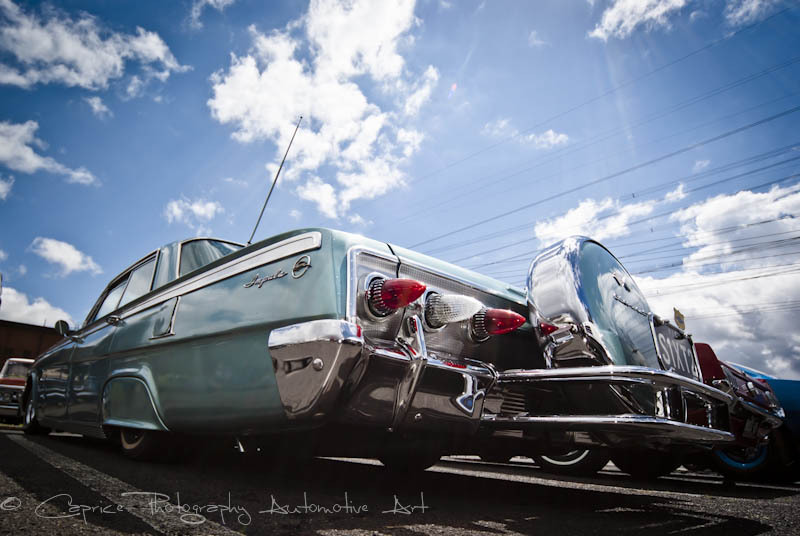 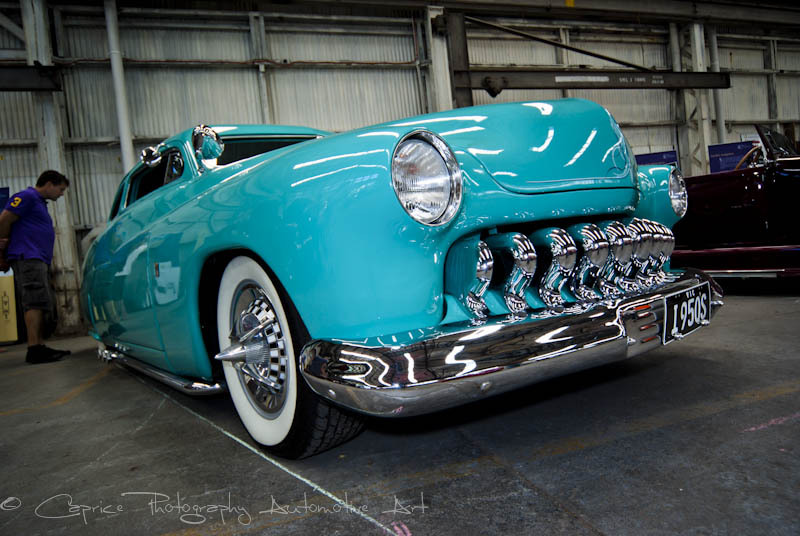 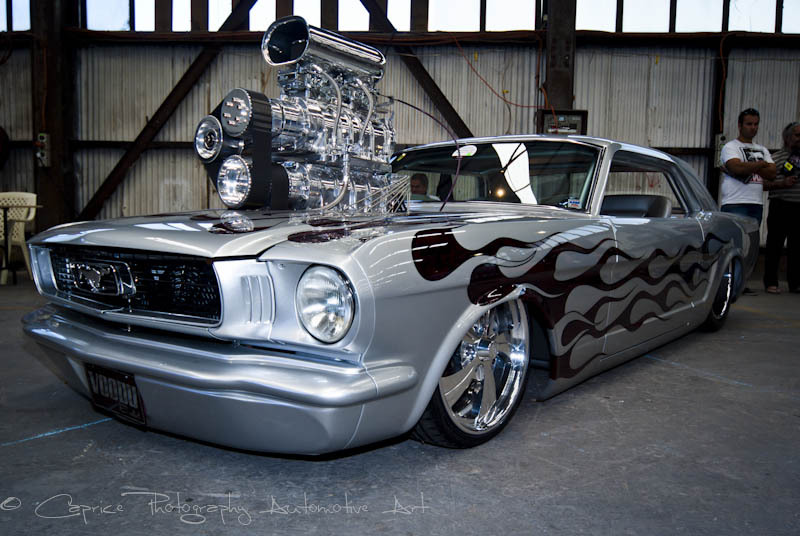 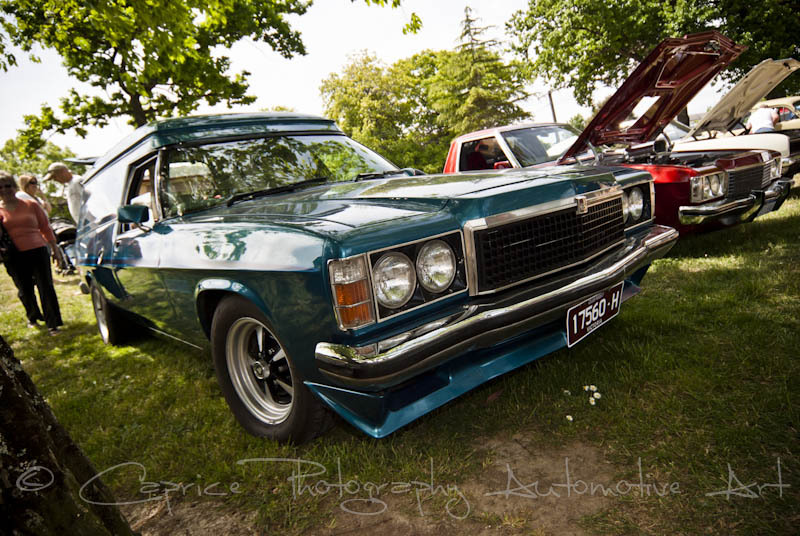 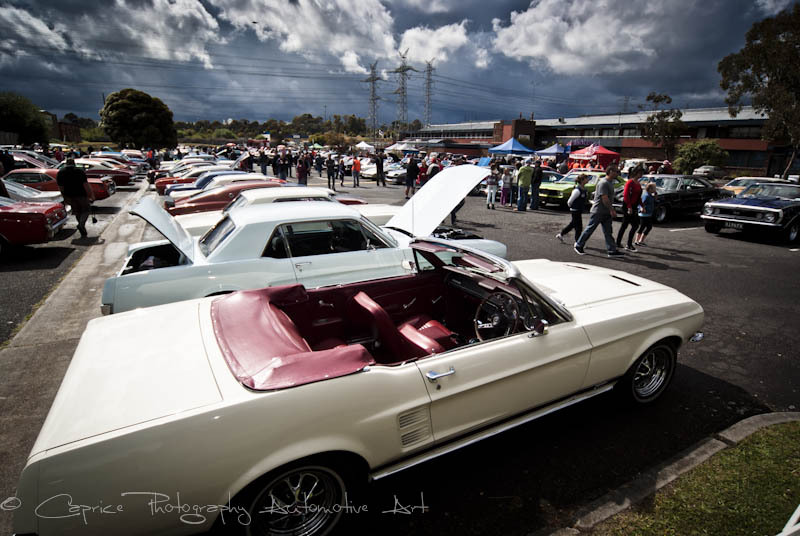 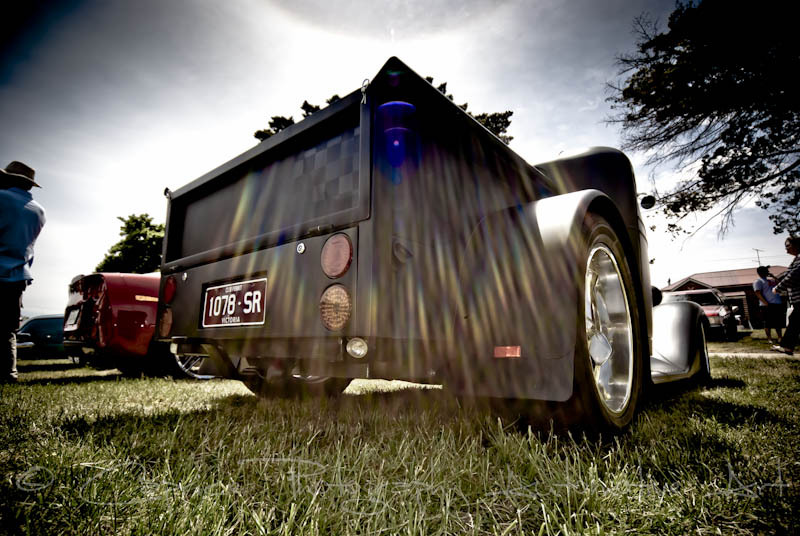 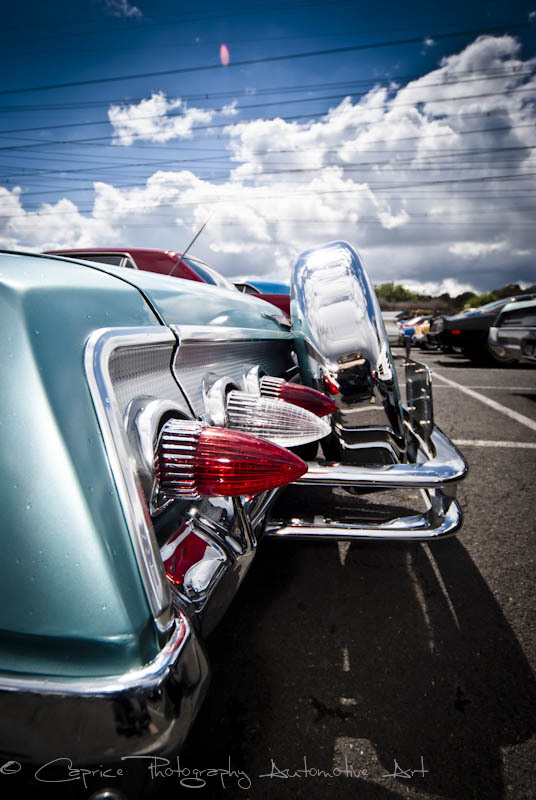 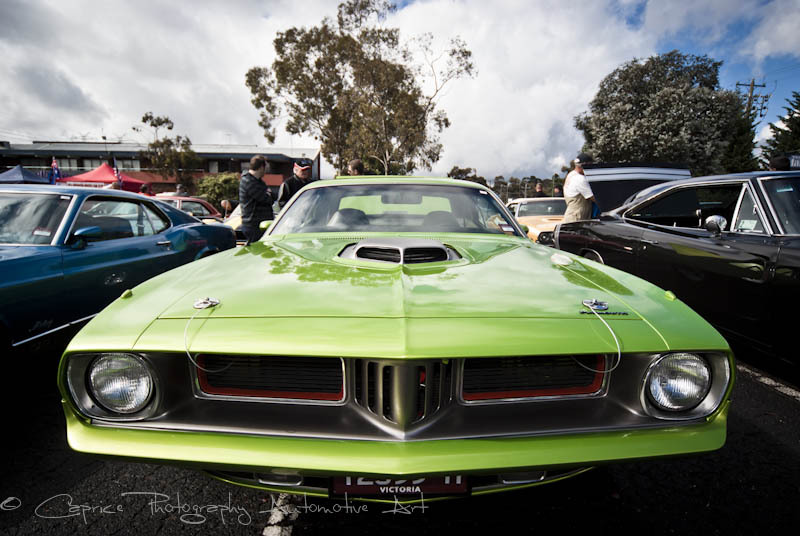 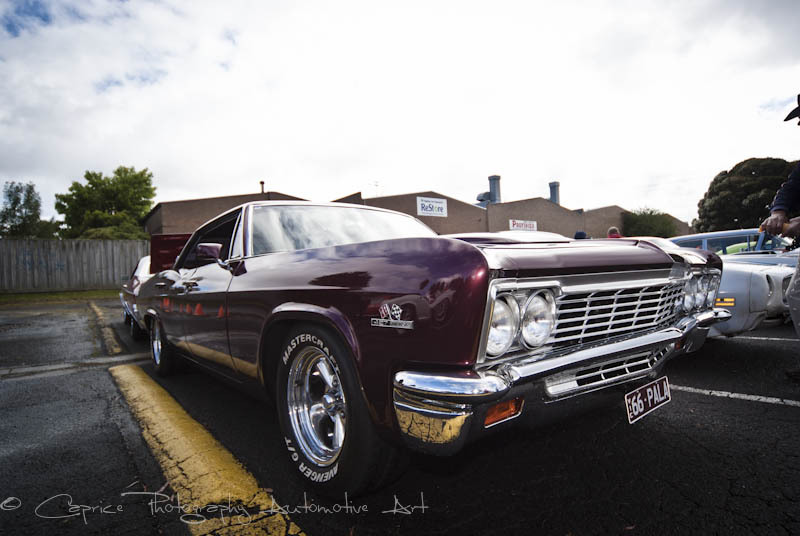 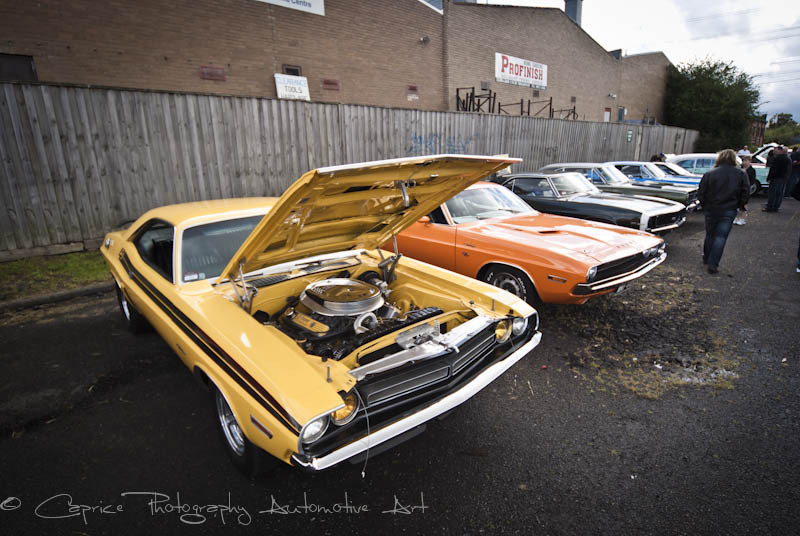 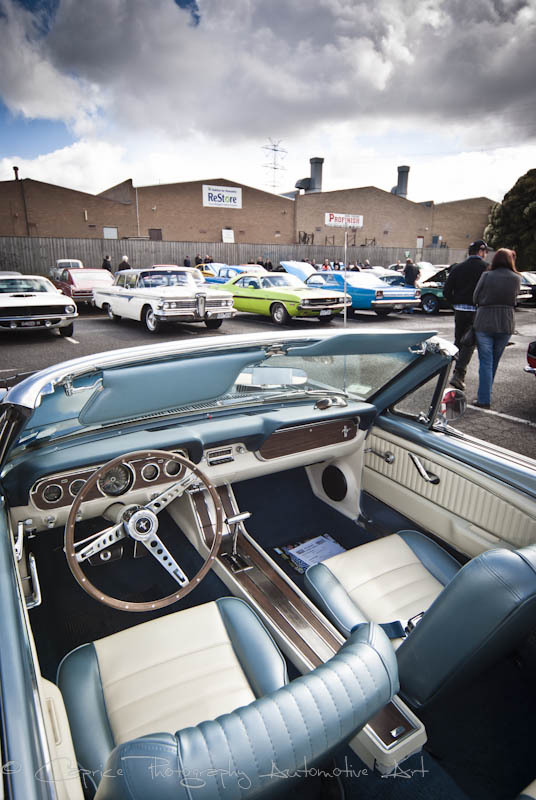 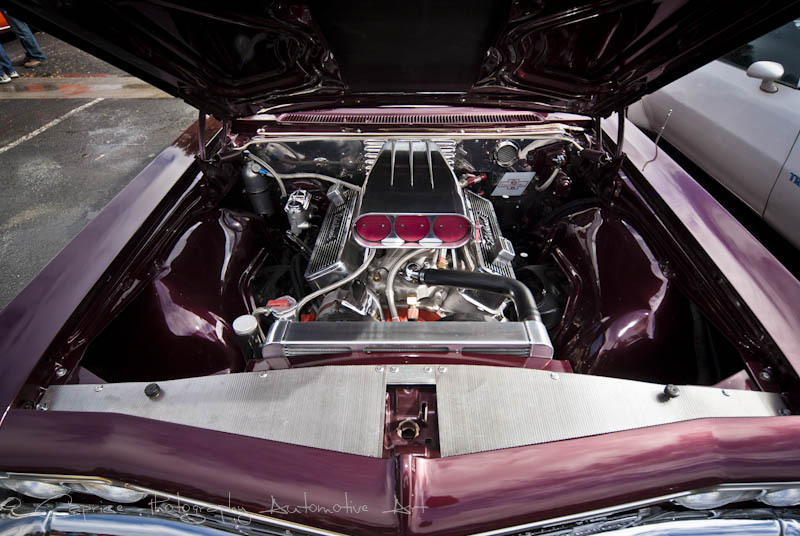 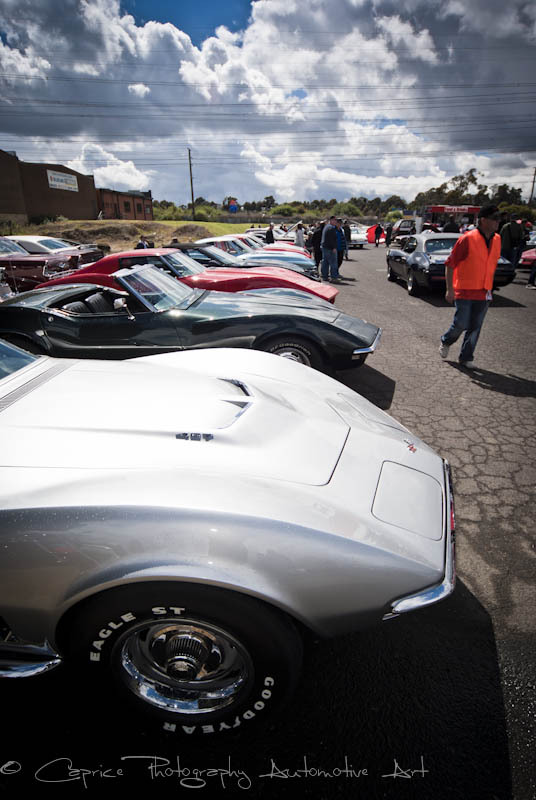 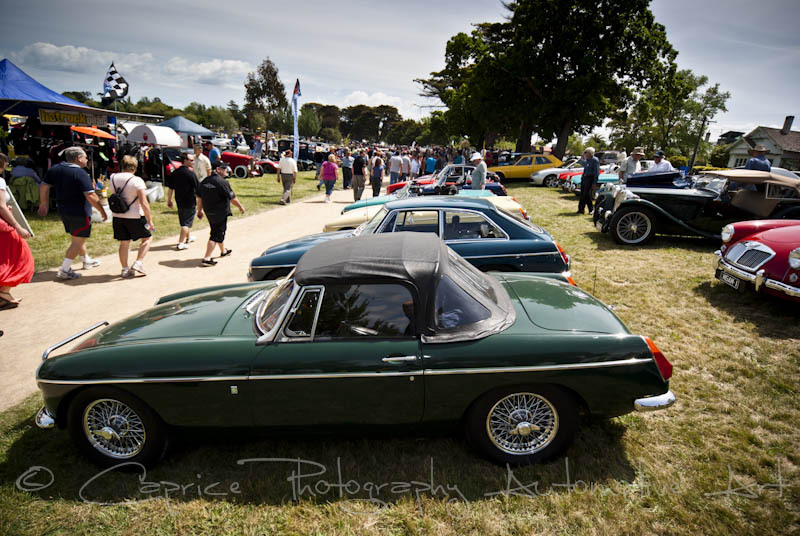 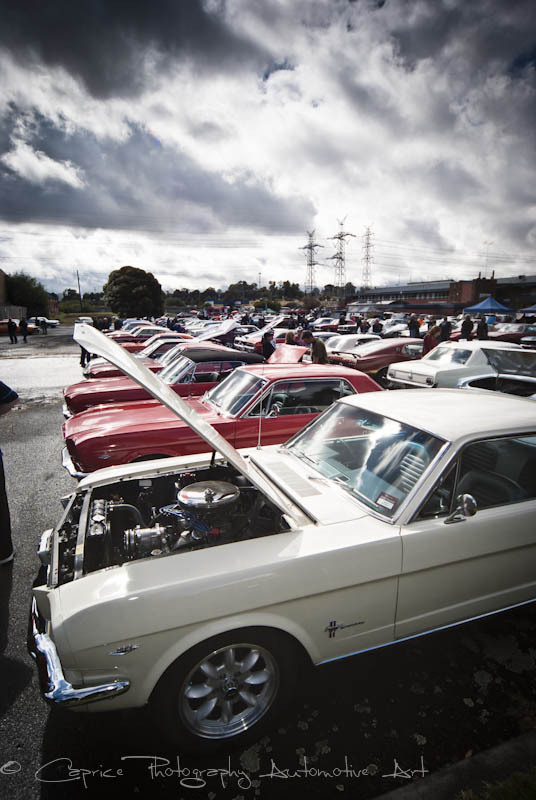 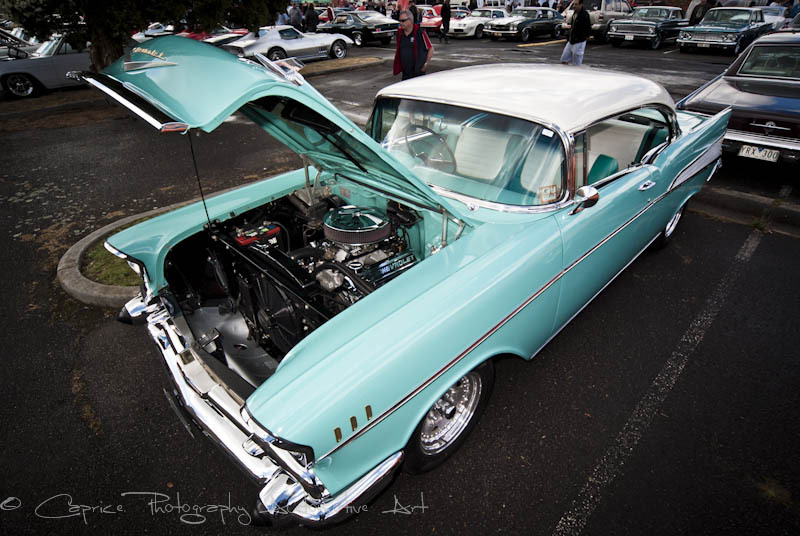 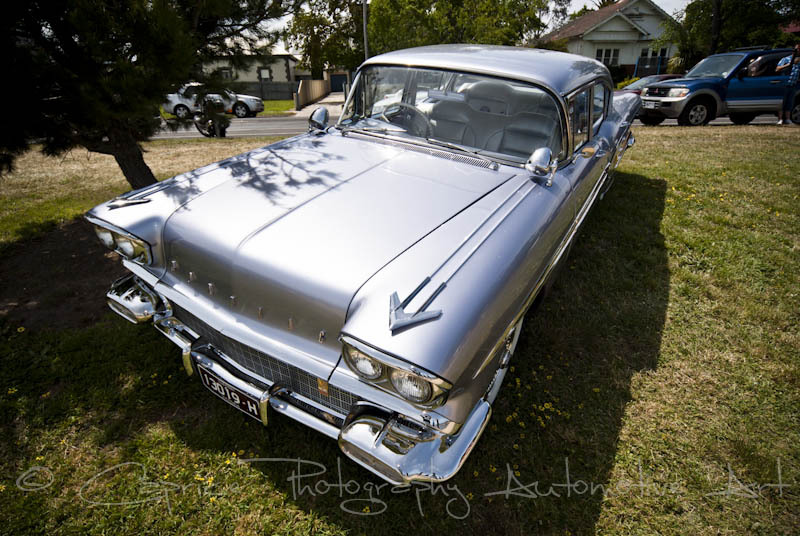 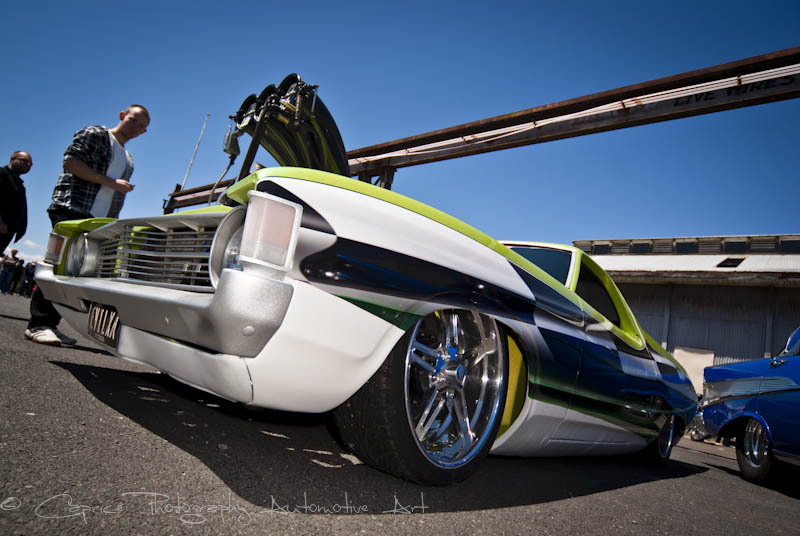 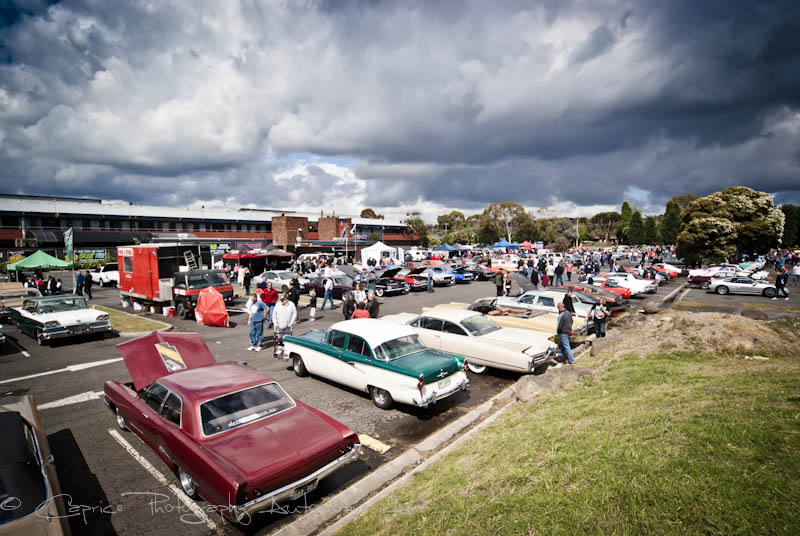 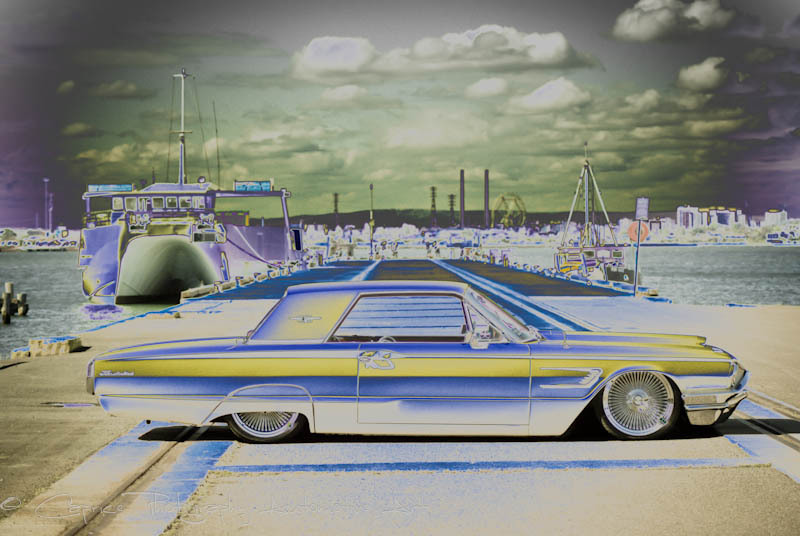 Hogs, rods, Stangs, Holdens, Falcons, customs and muscle cars alike filled up all available spaces beholding a sight of visual colour and shine for owners and enthusiasts alike to take in. 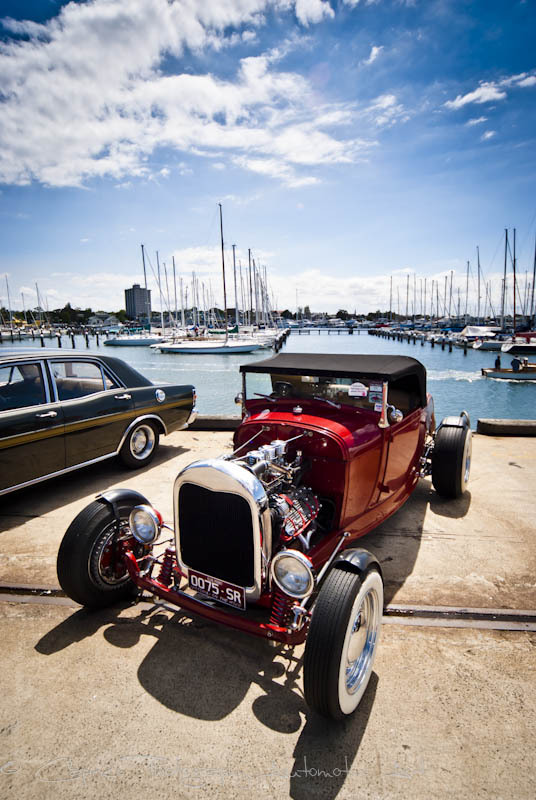 When done indulging in their favorite vocation, Pirates Tavern became a welcome spot to put your feet up and enjoy a beverage of the liquor variety while munching on one of the many takeaway foods on offer. 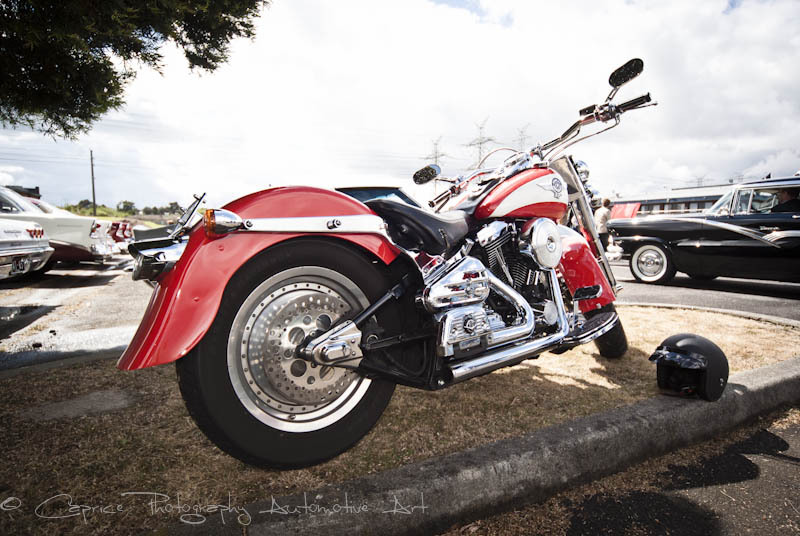 Beautiful model, Sandy was on hand to help with the announcements and presentations, seeing trophy winners receive their glass awards with flare while the guys and girls from Rev Heds had the cameras rolling all day to capture all the action for those who didn’t get the opportunity to take advantage of the great weather and attend. 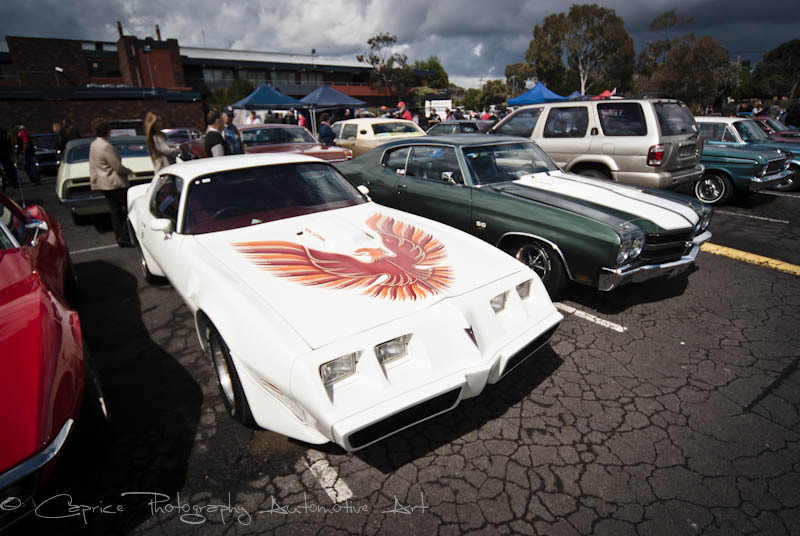 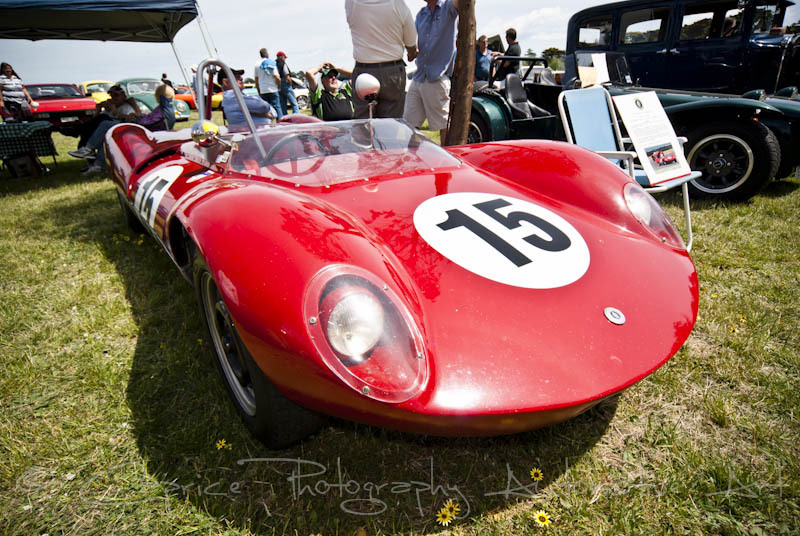 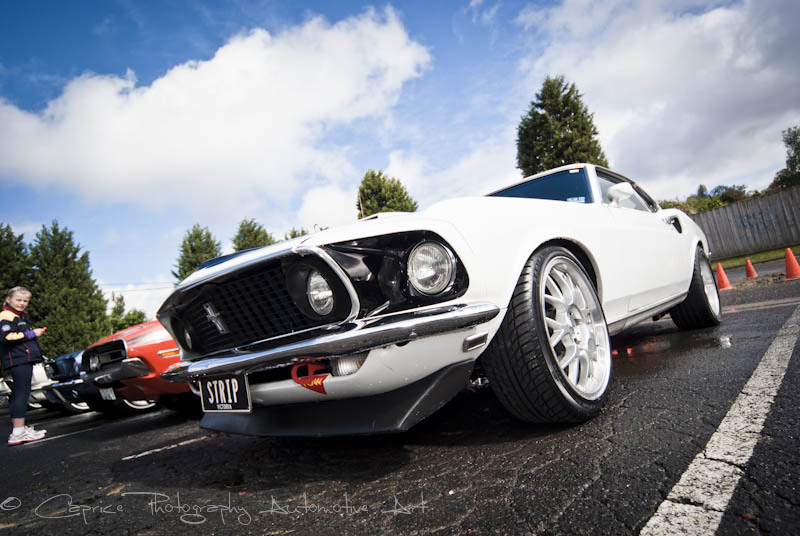 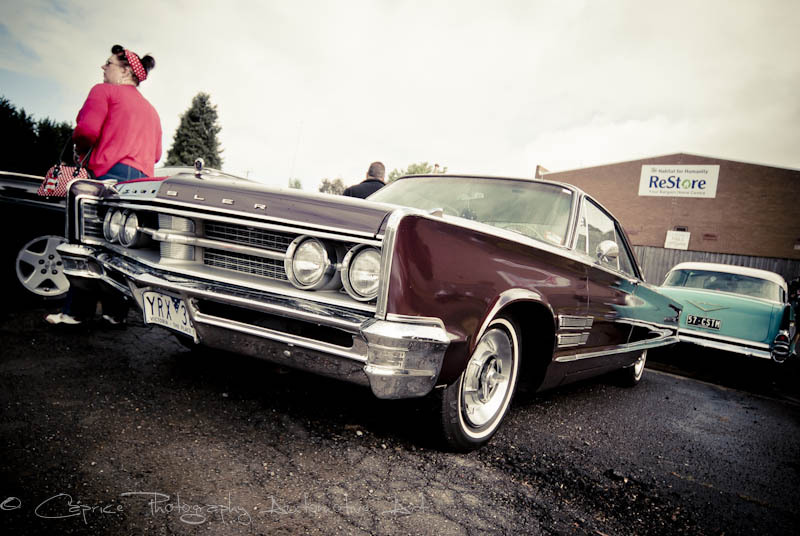 A big congratulations needs to go out to the guys and girls of the Smokin’ Aces car club for putting on such a professional and well executed event. 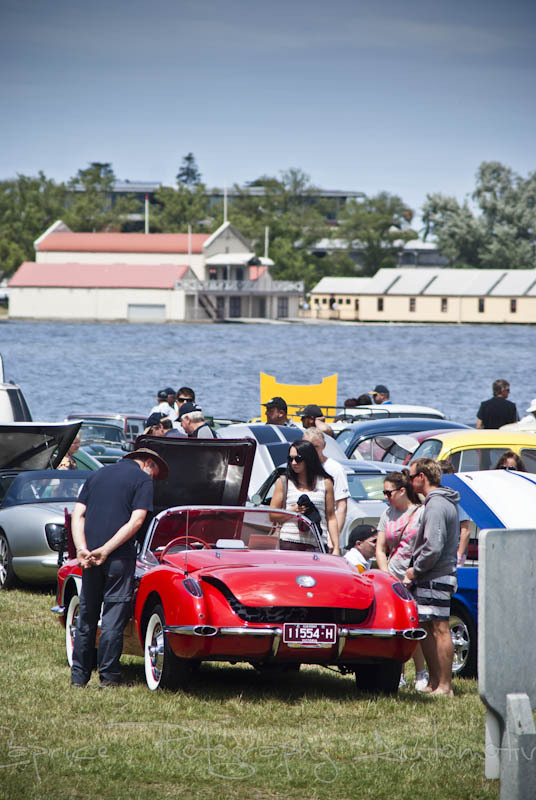 All in all, this is one for the whole family to enjoy and if this inaugural event’s first go is anything to go by, next years can only be more impressive and should not be missed.